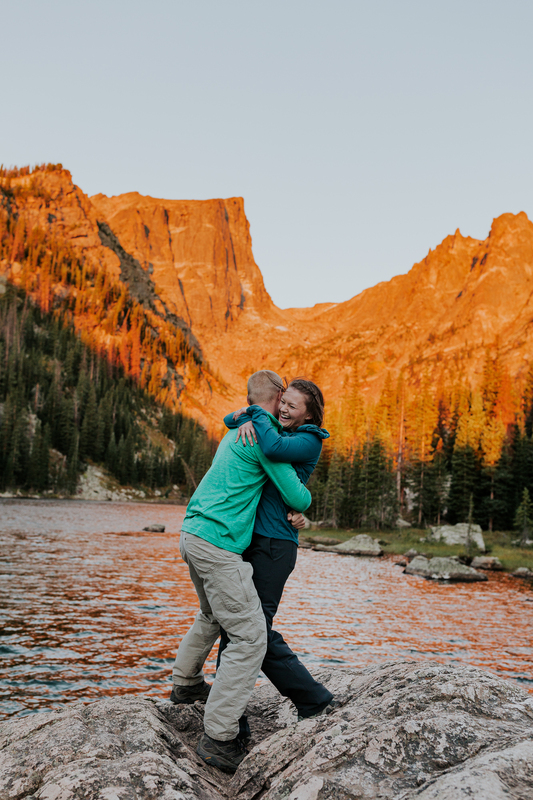 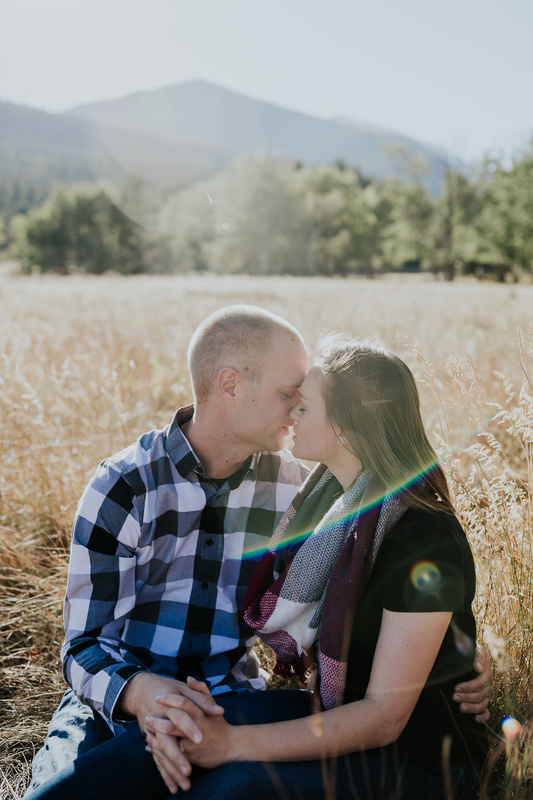 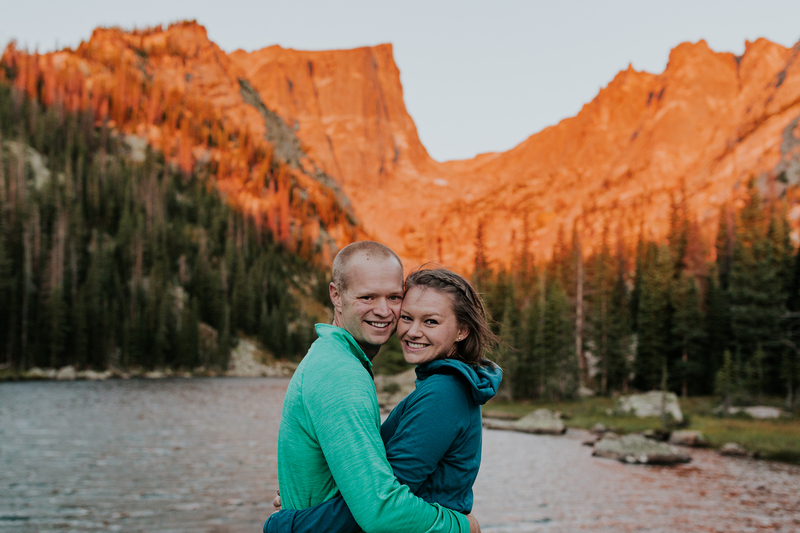 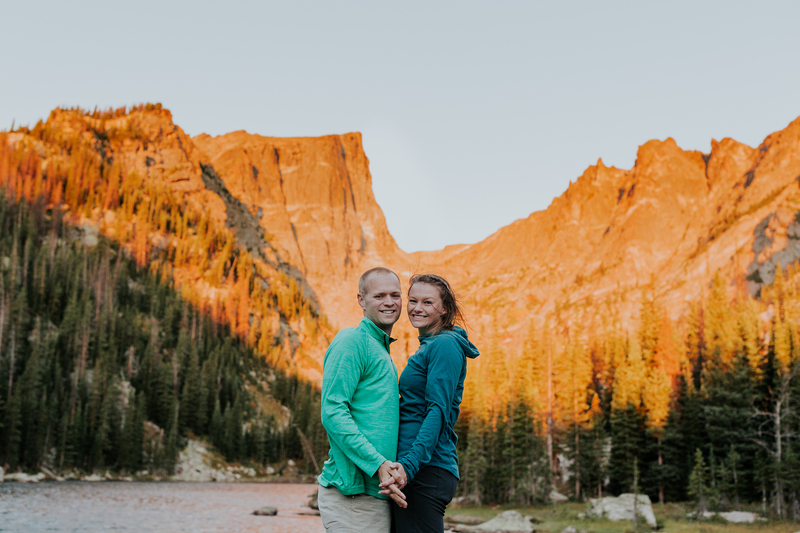 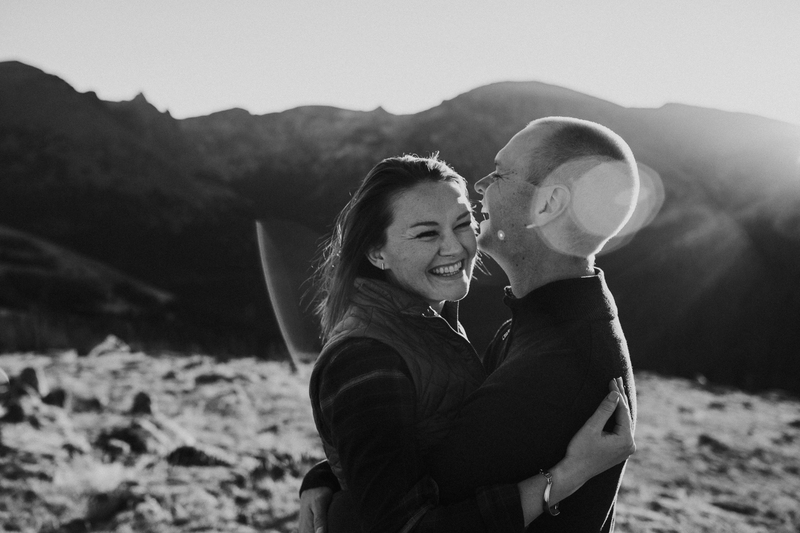 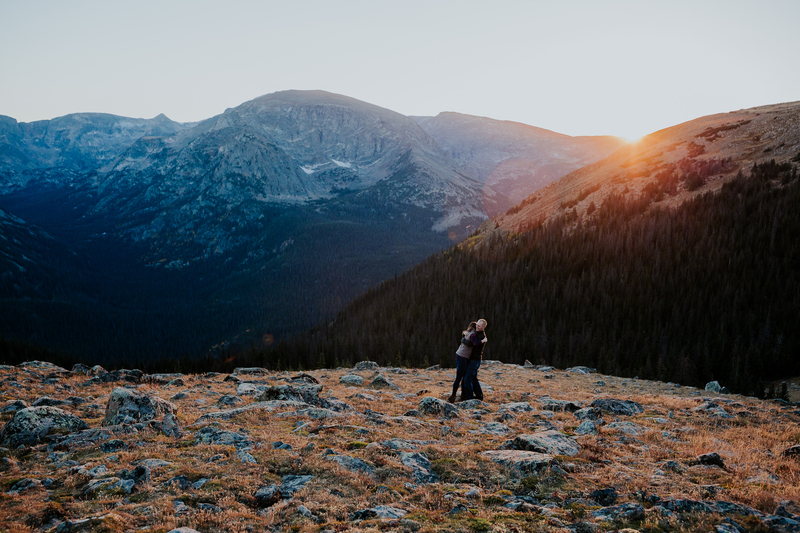 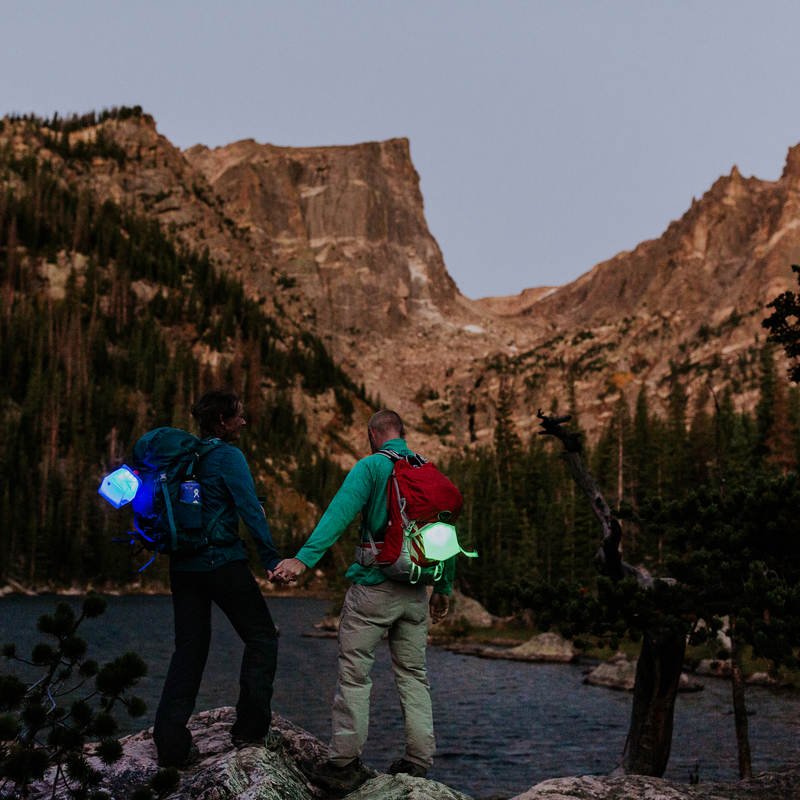 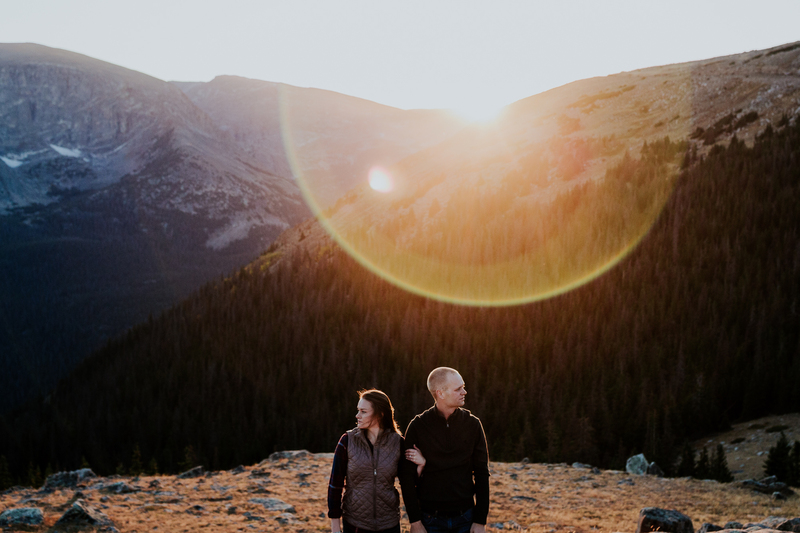 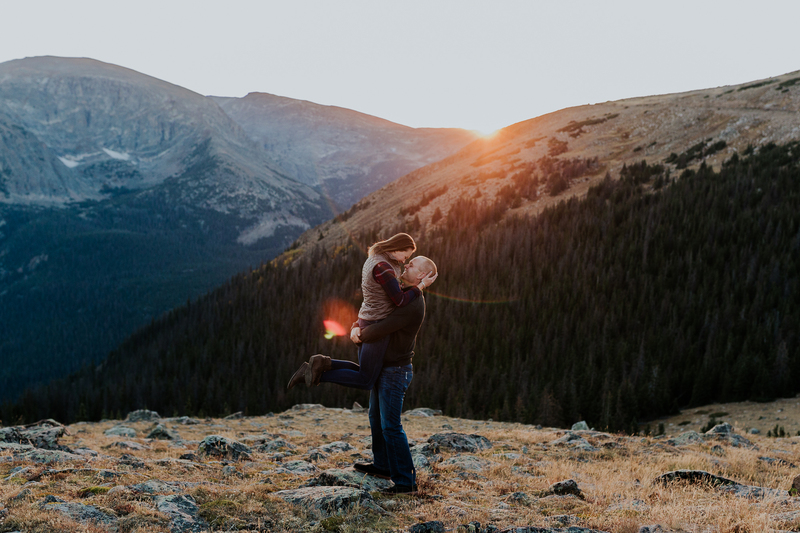 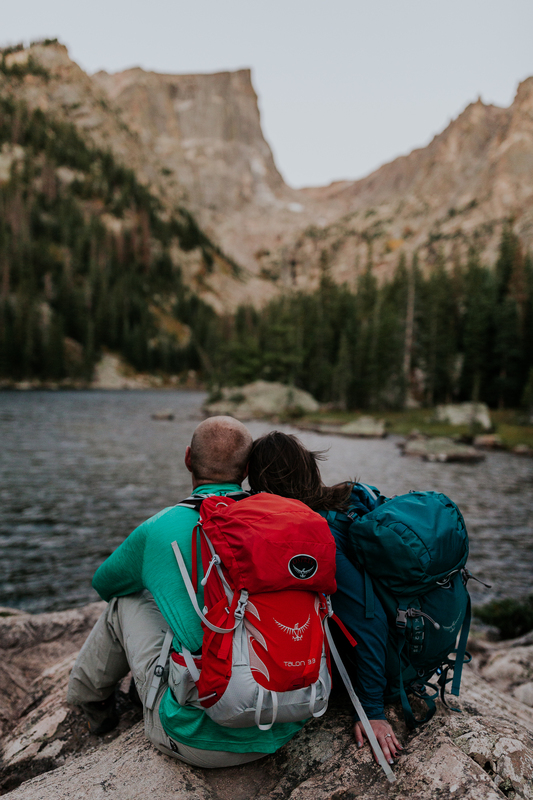 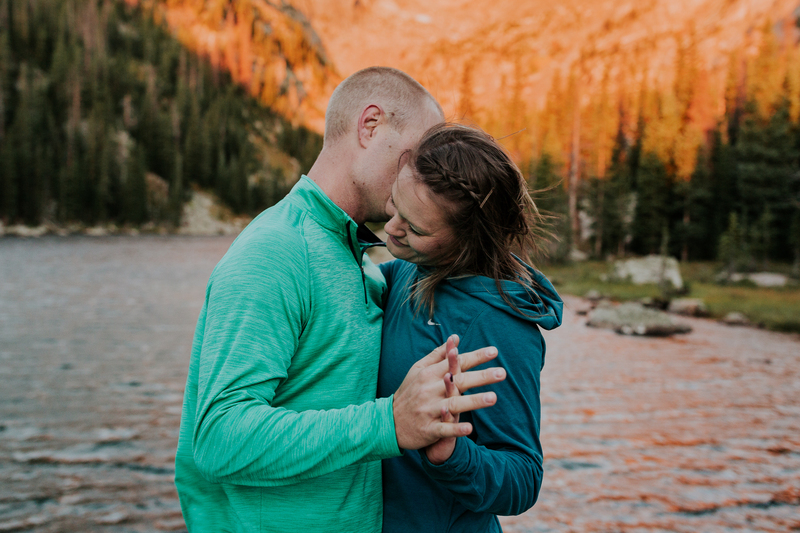 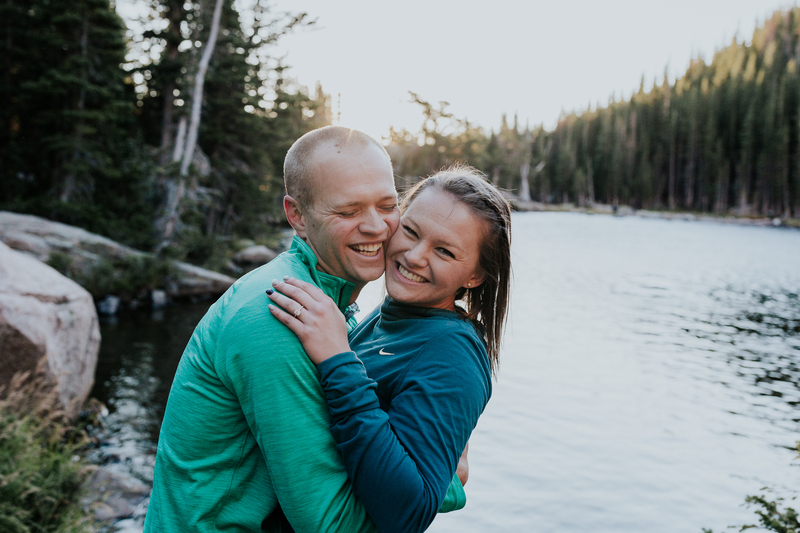 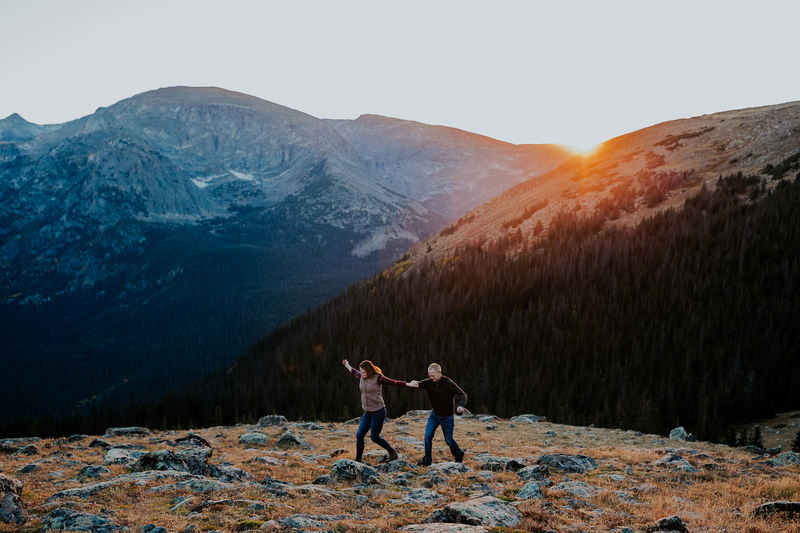 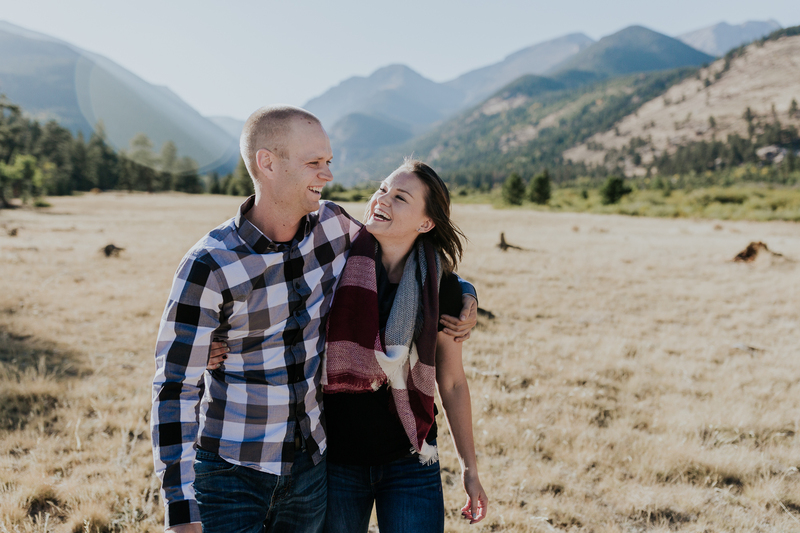 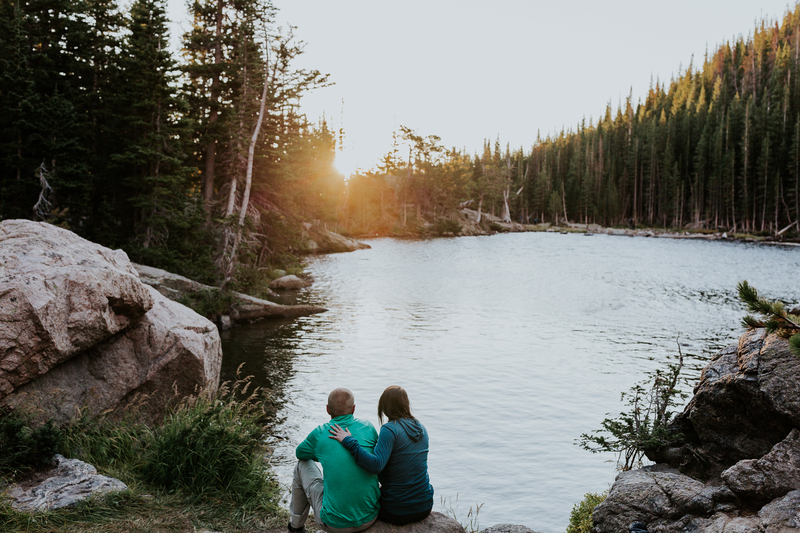 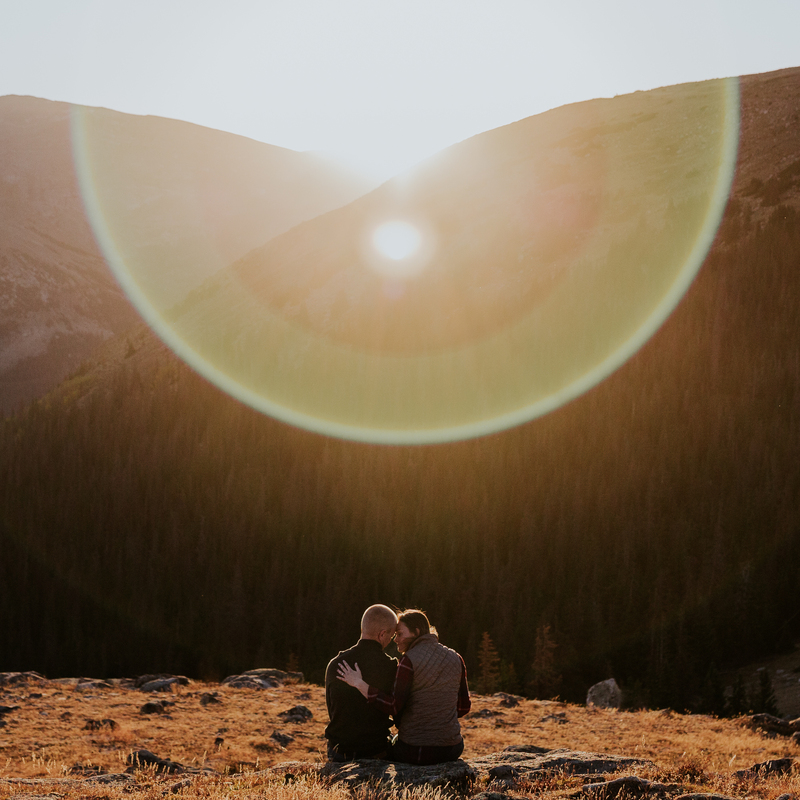 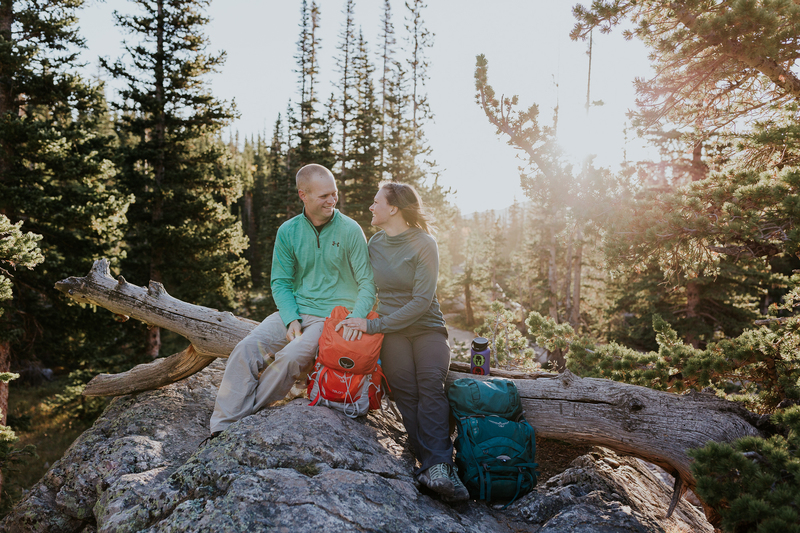 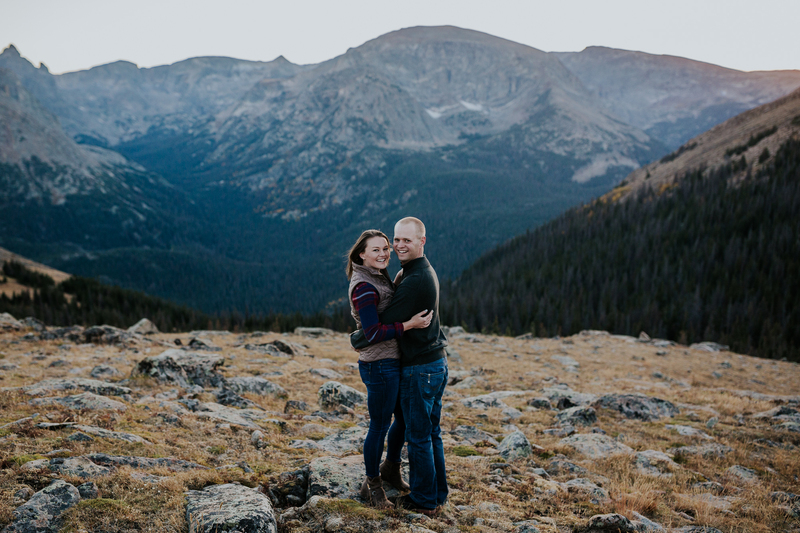 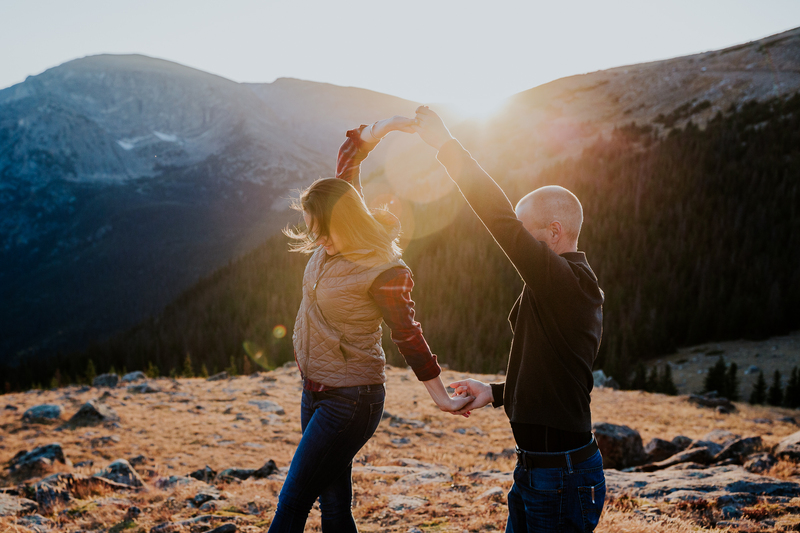 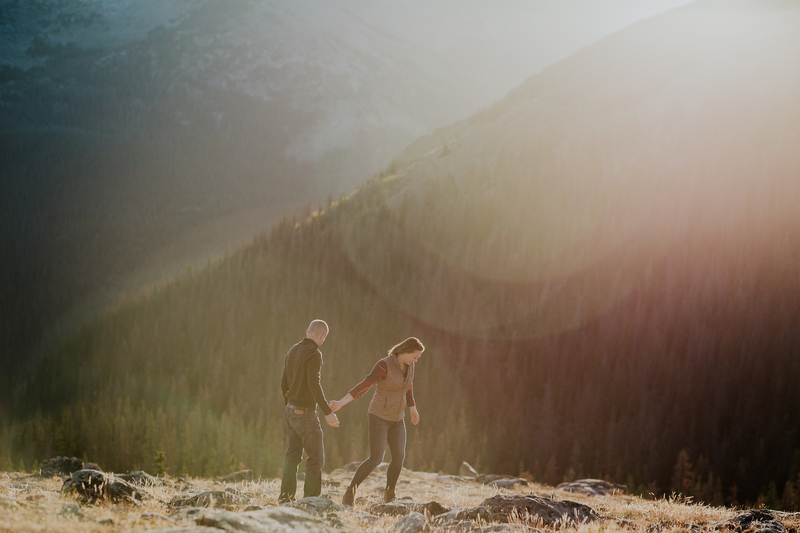 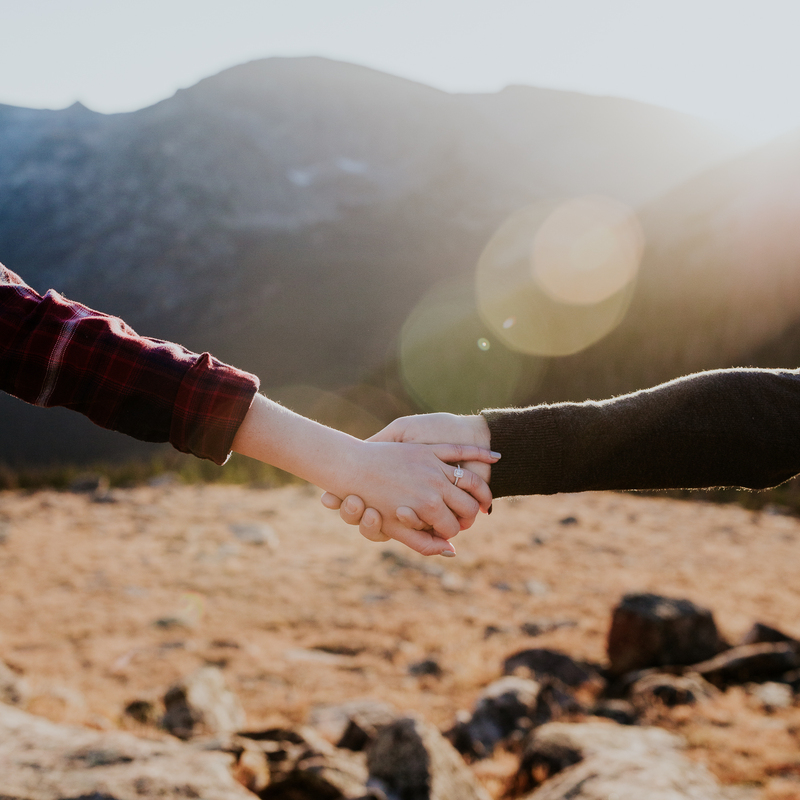 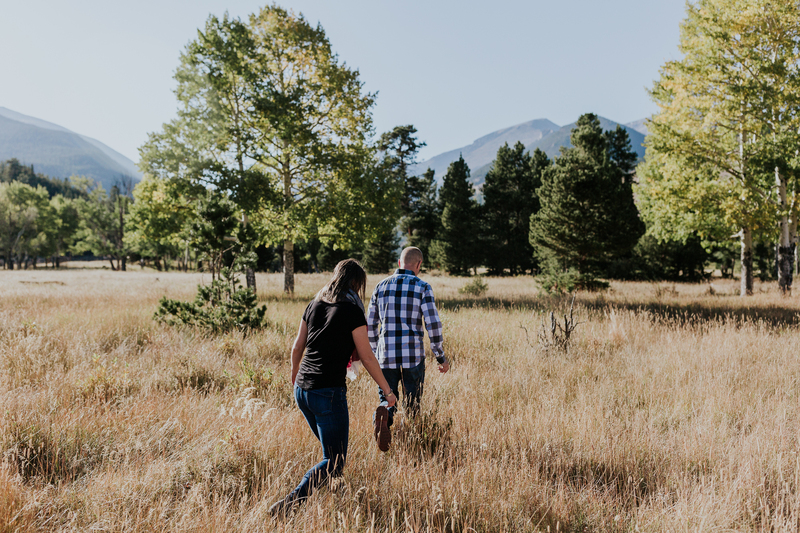 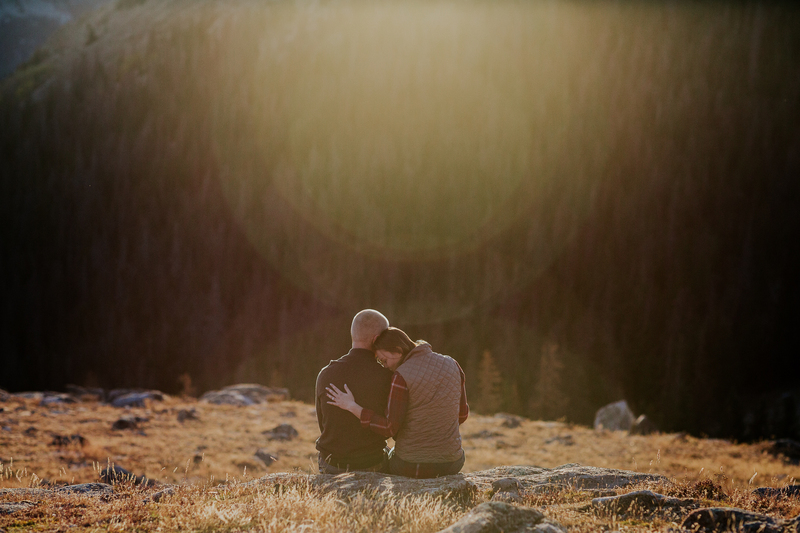 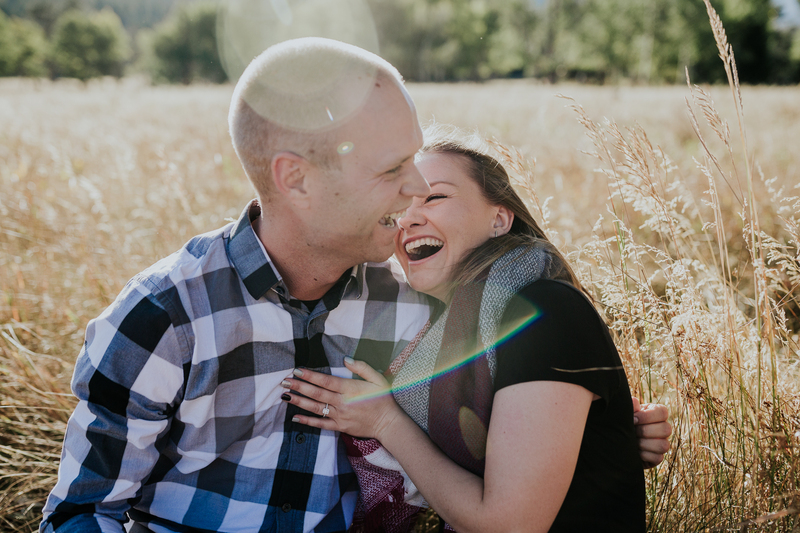 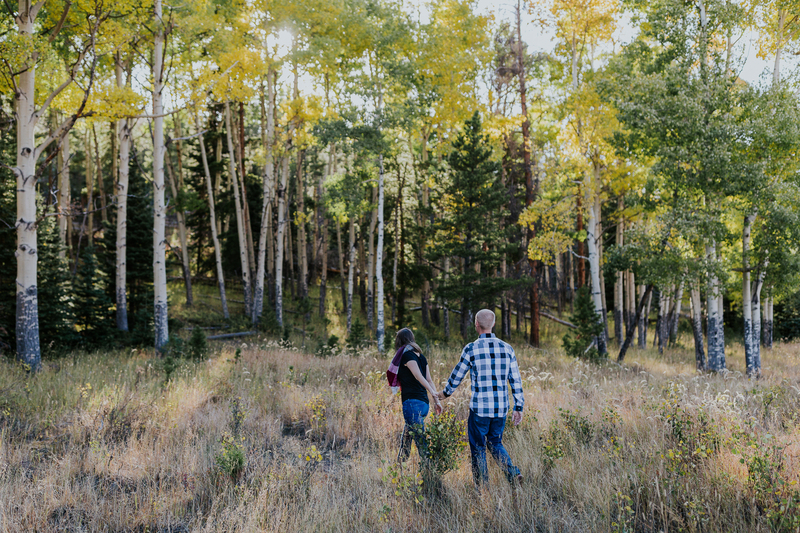 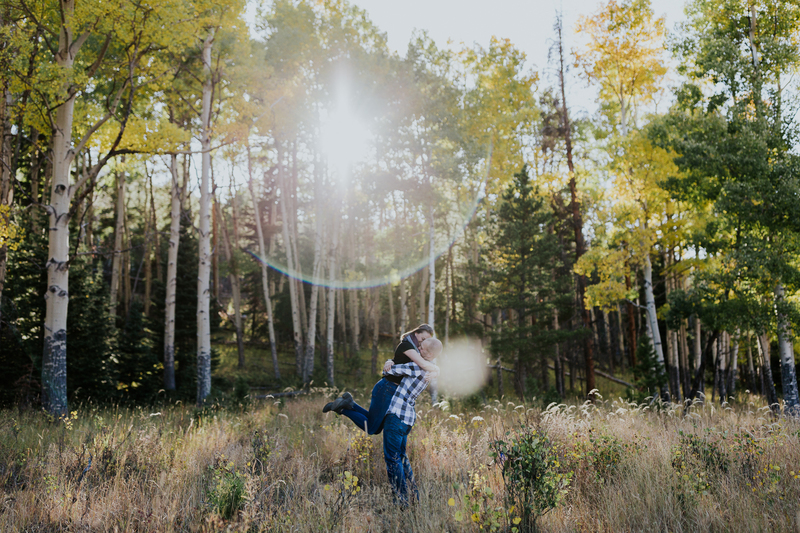 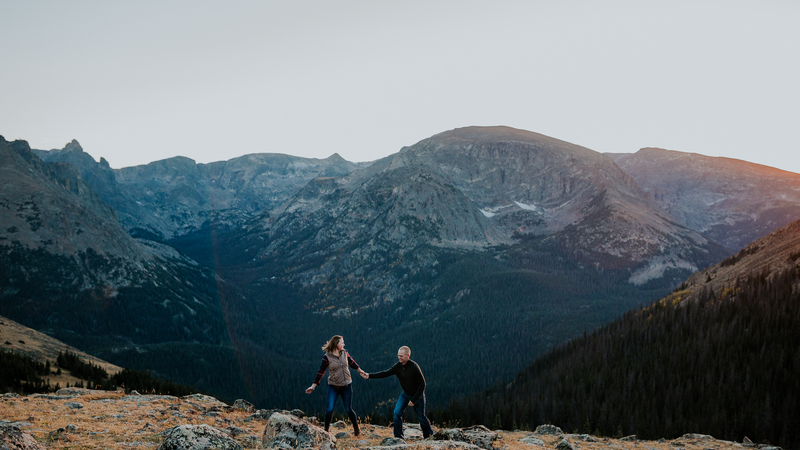 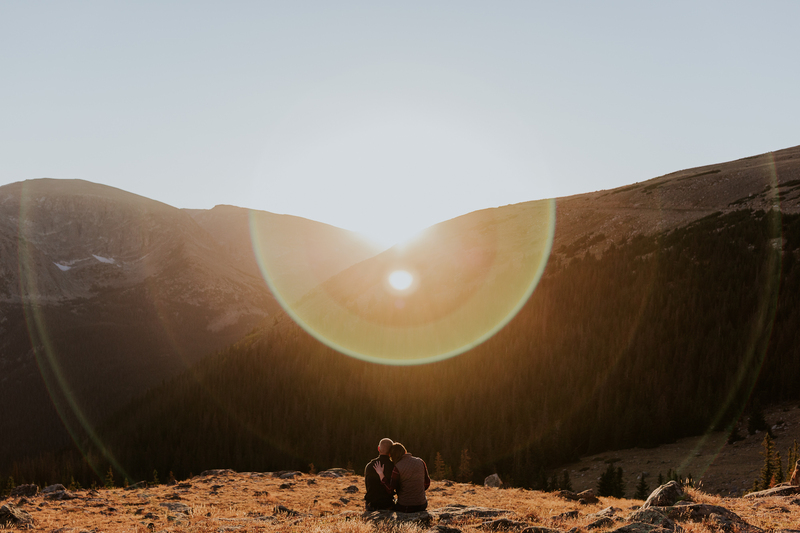 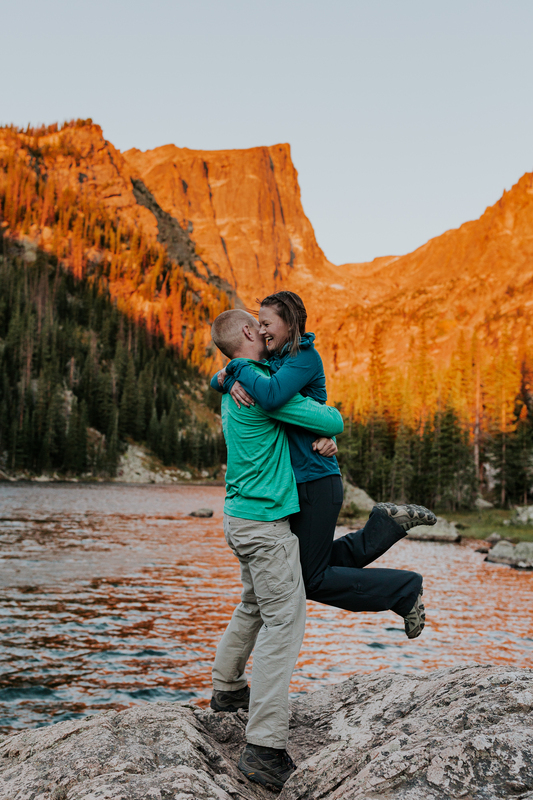 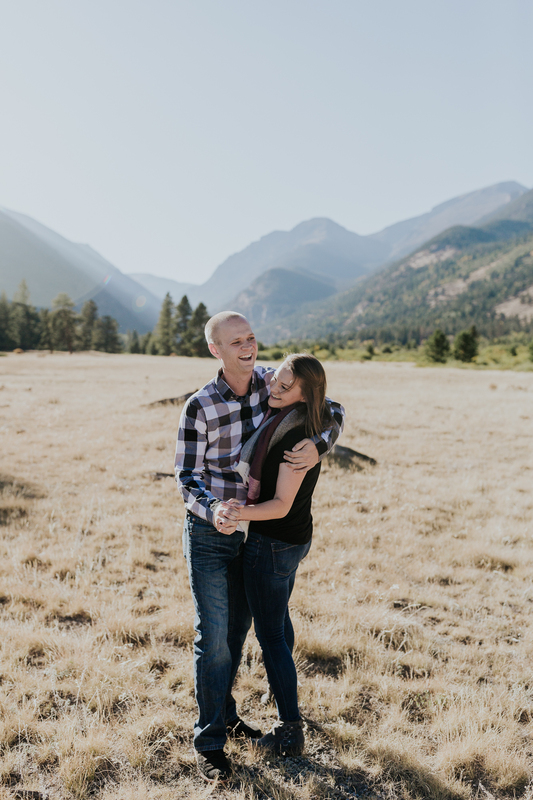 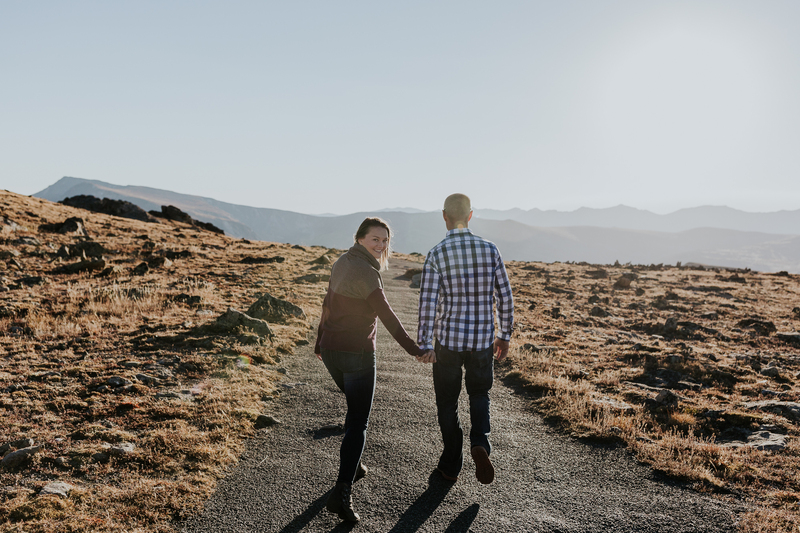 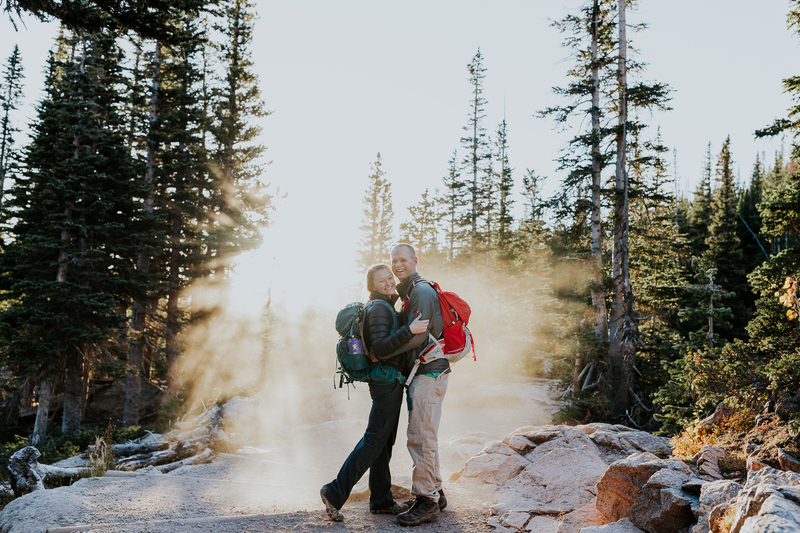 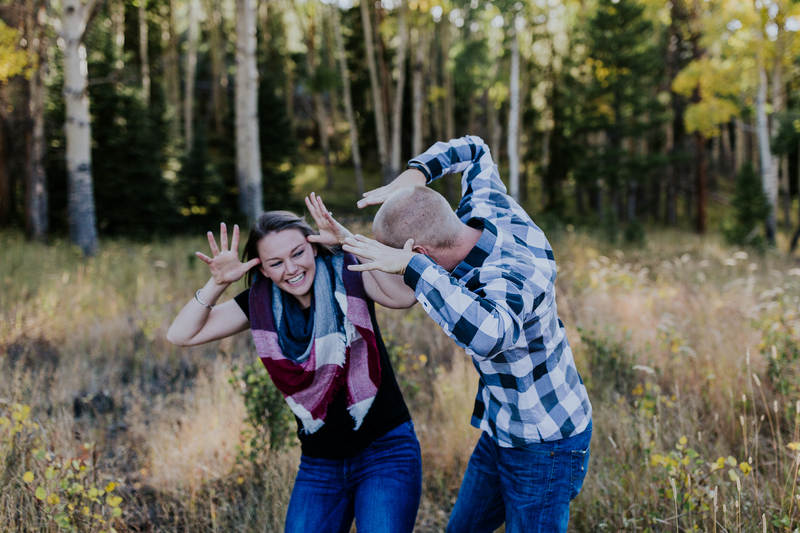 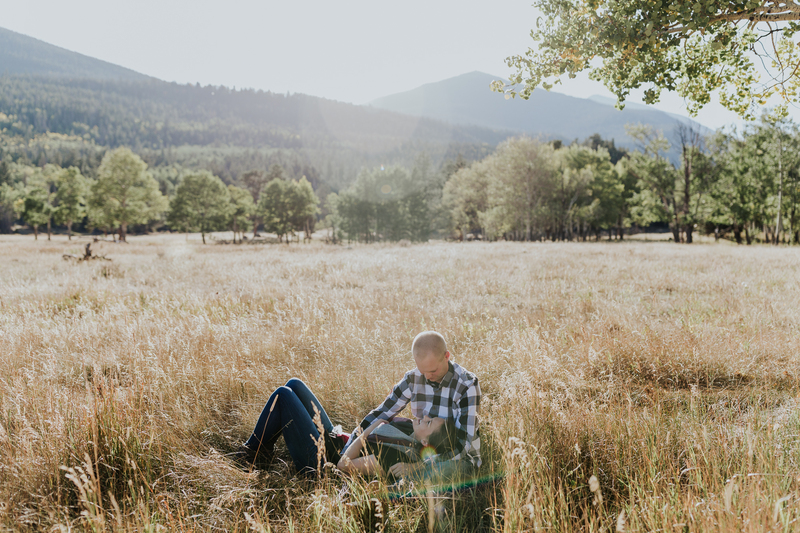 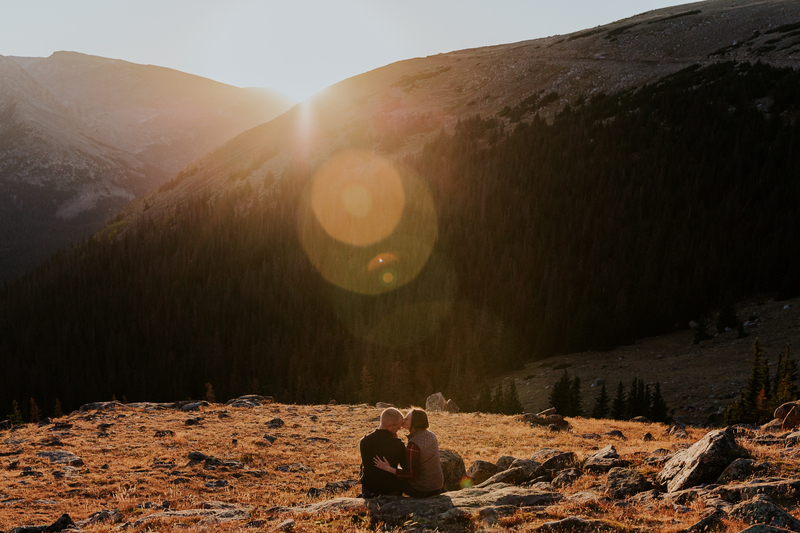 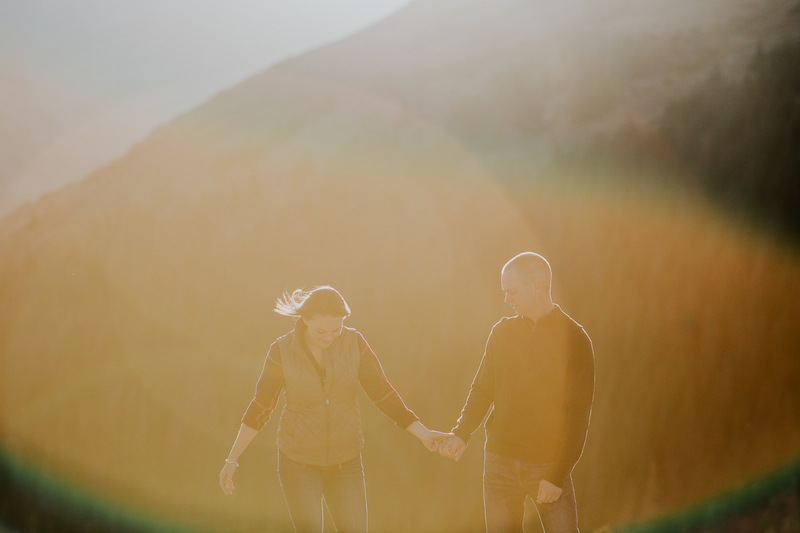 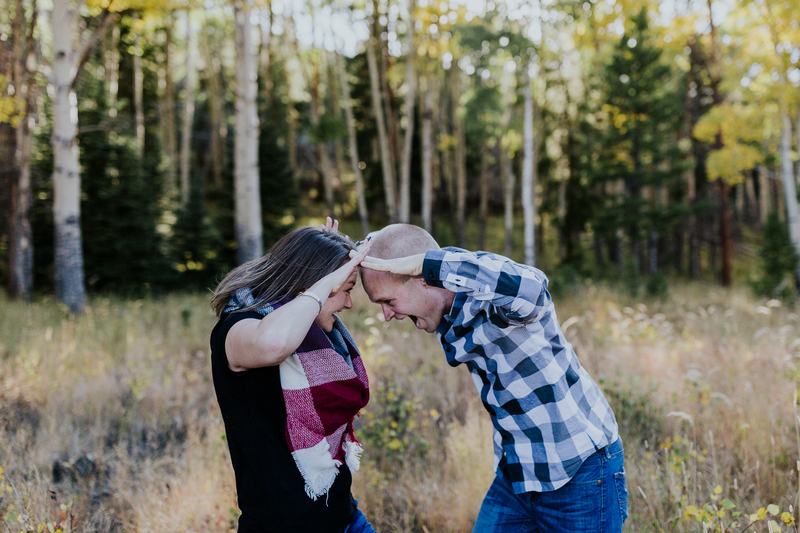 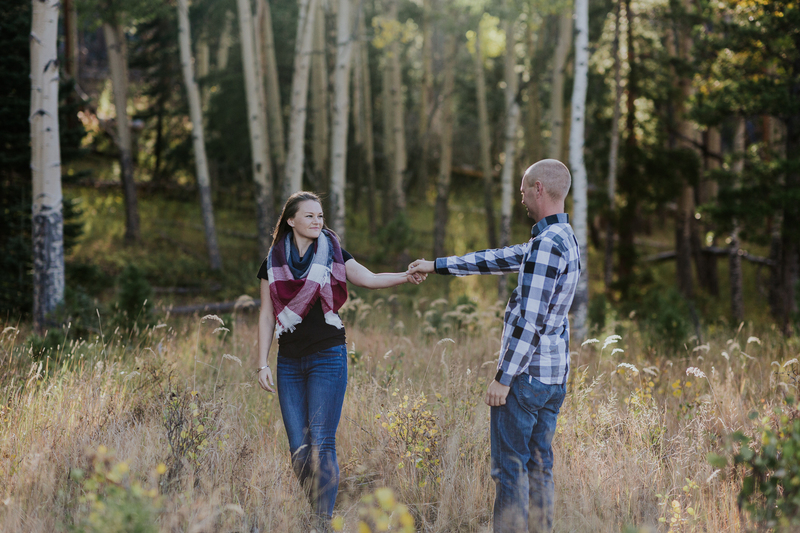 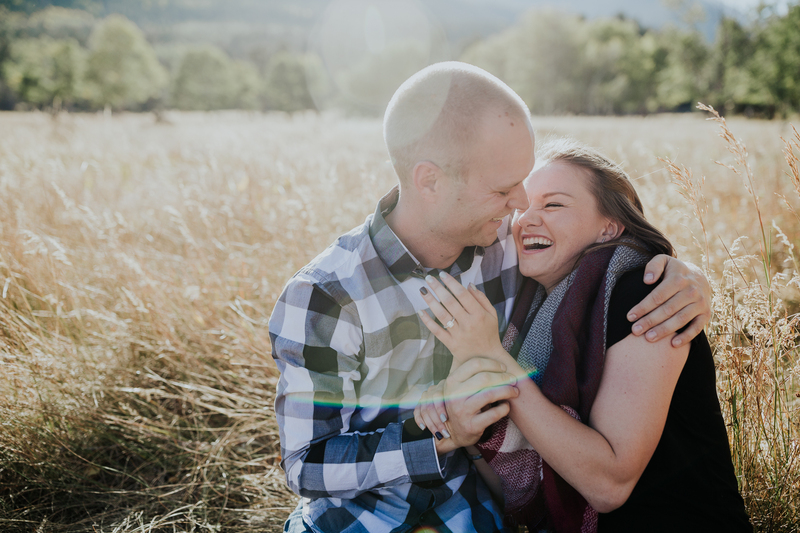 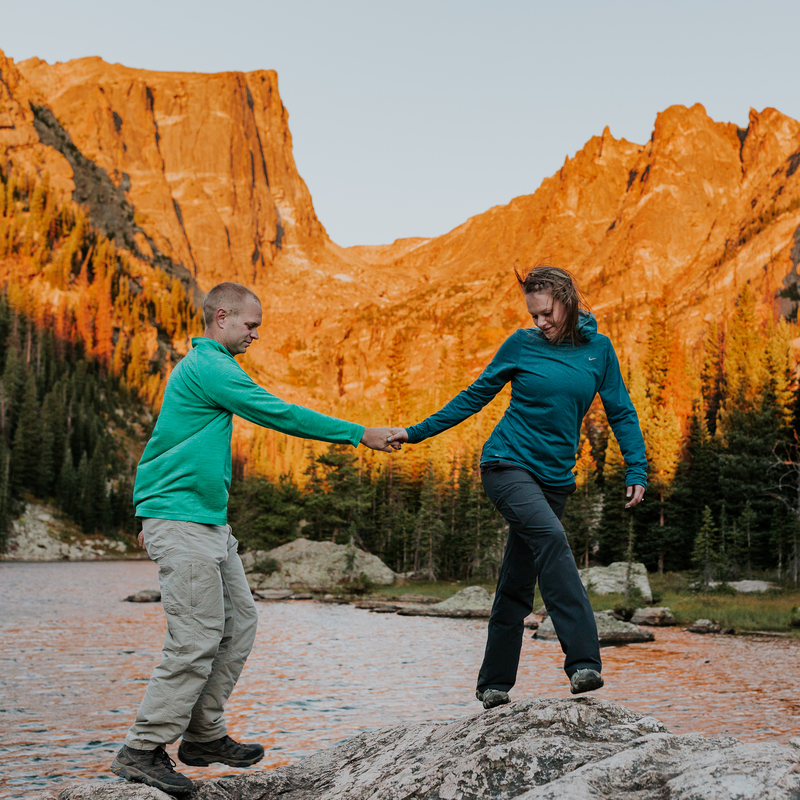 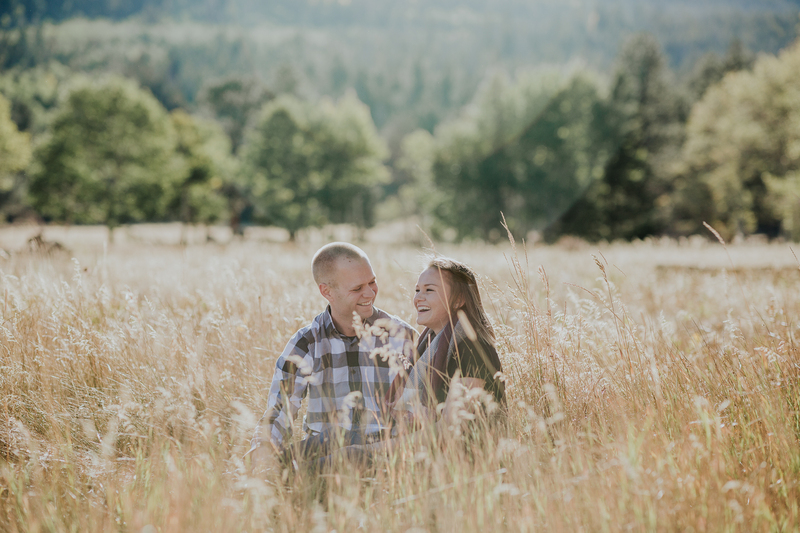 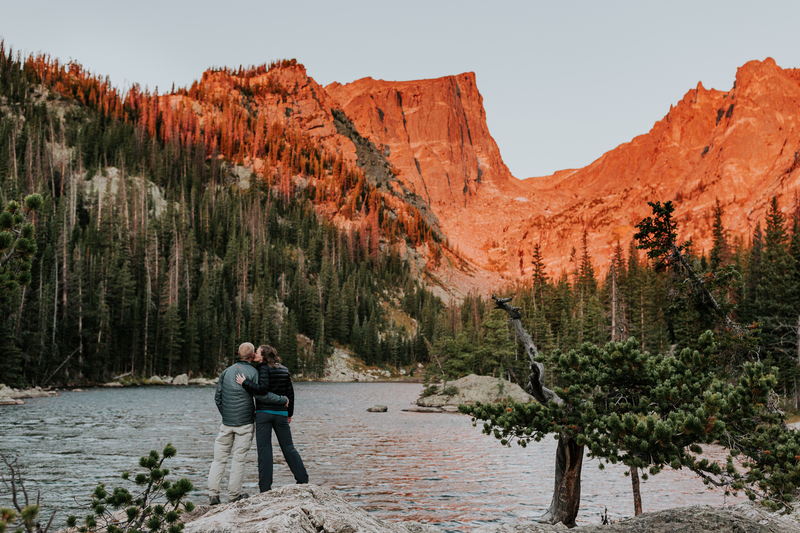 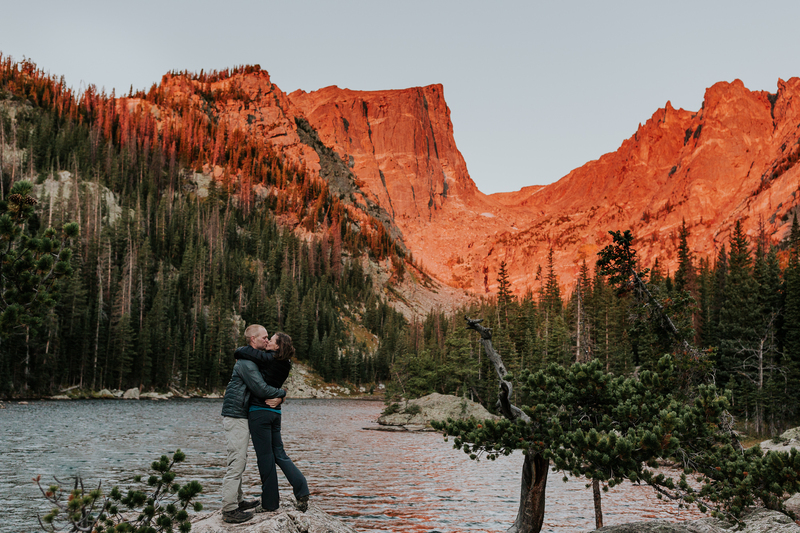 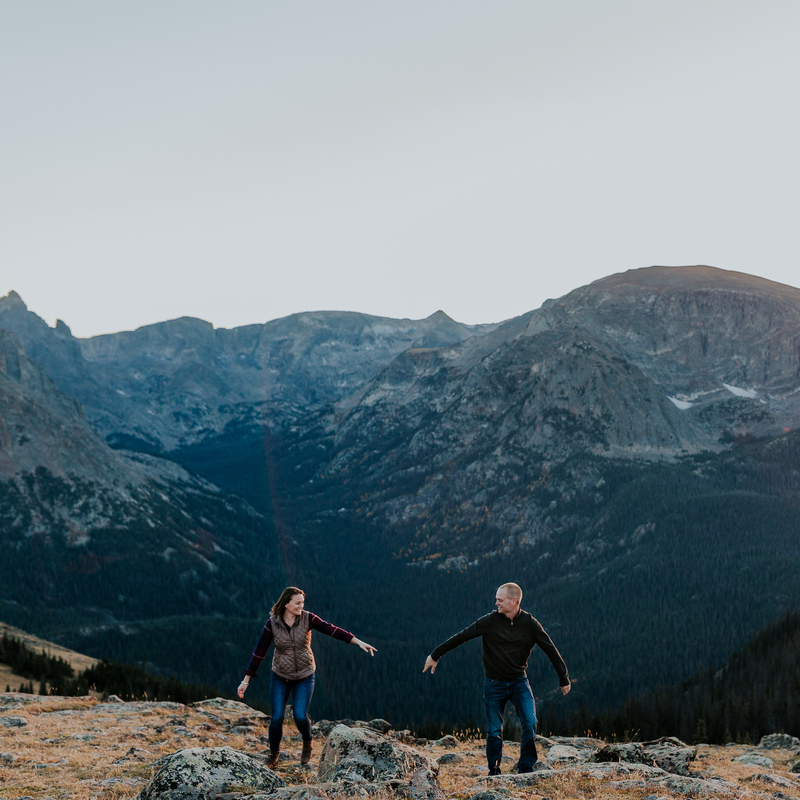 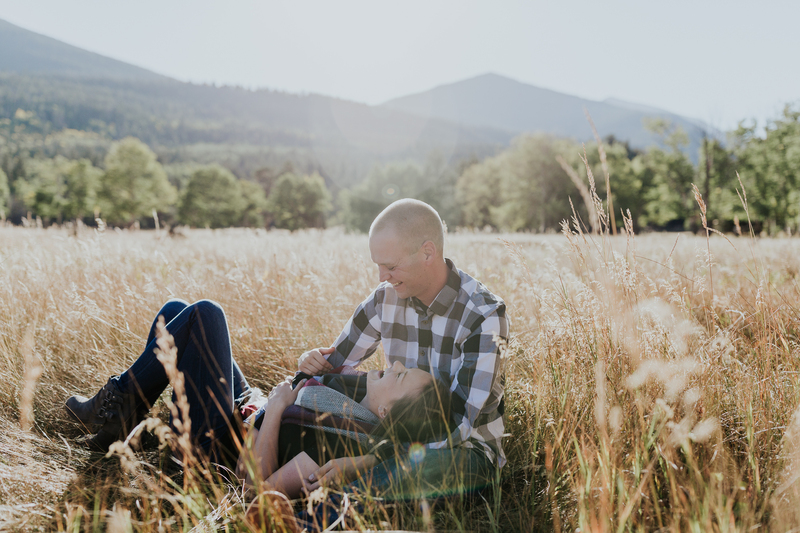 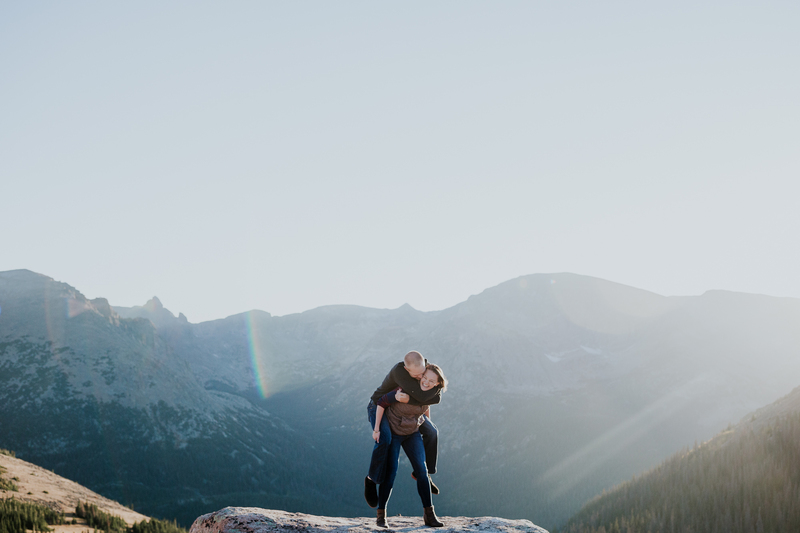 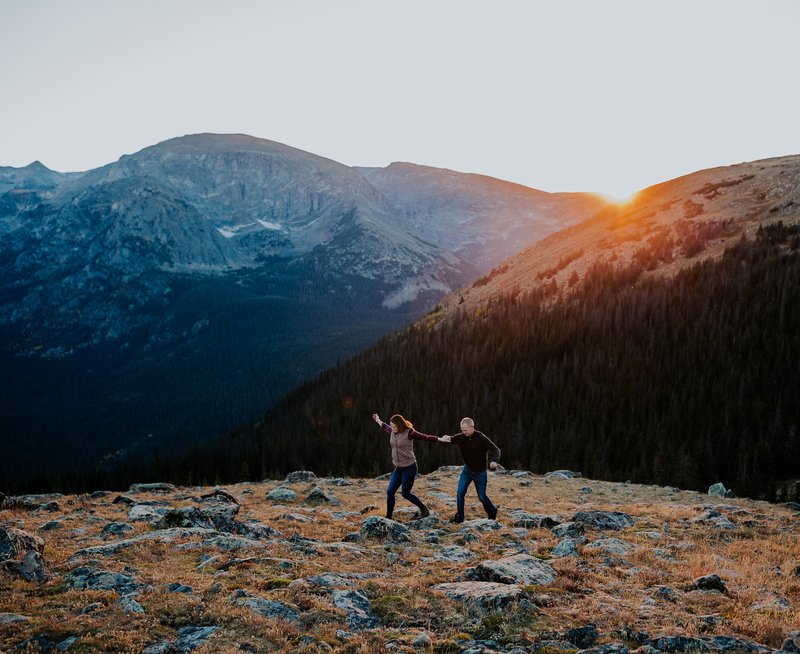 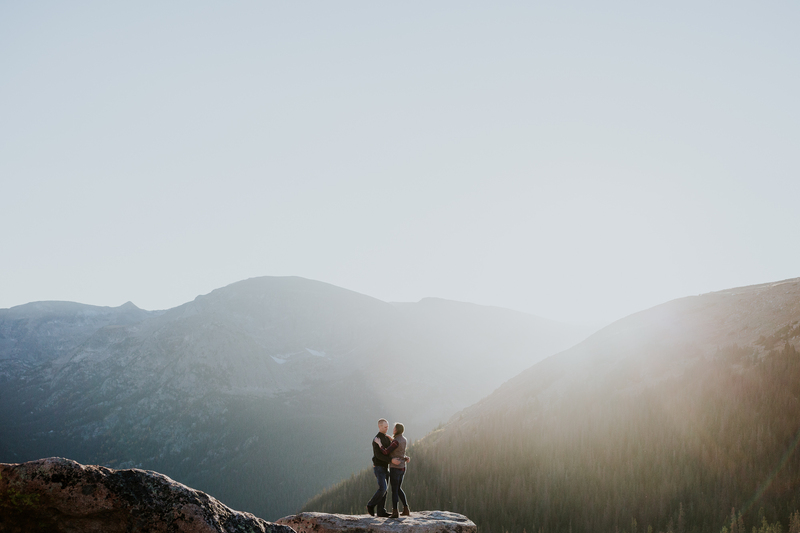 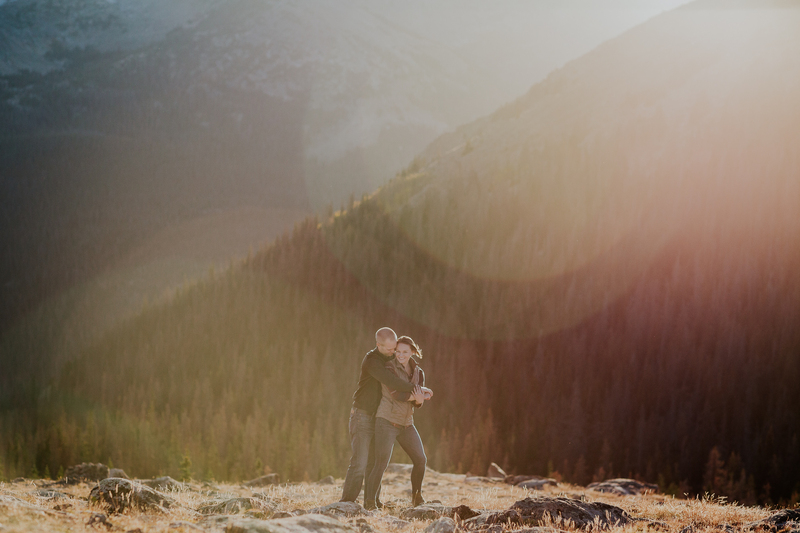 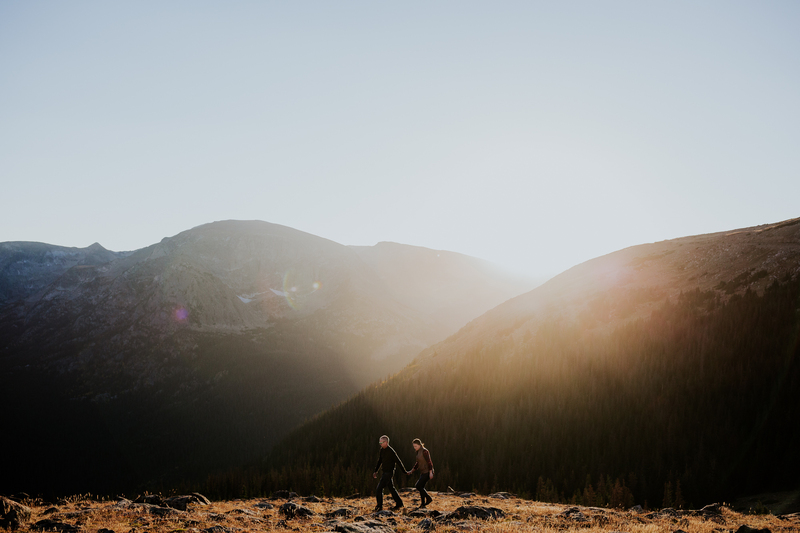 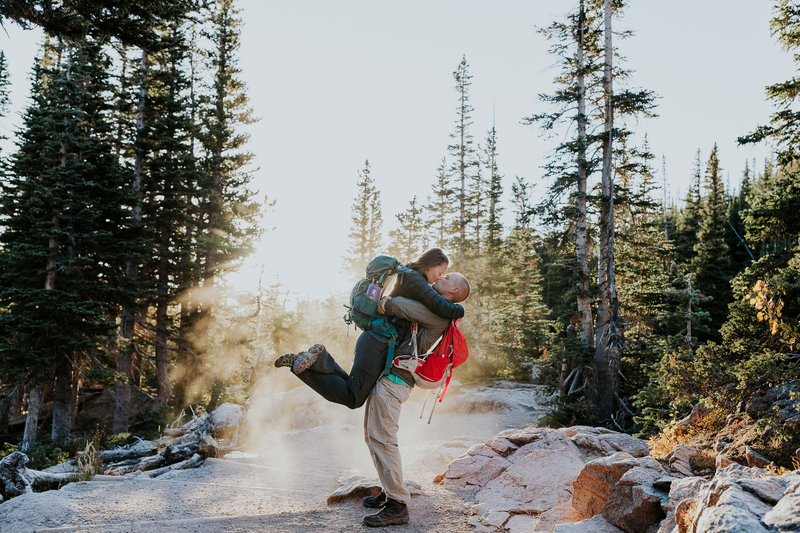 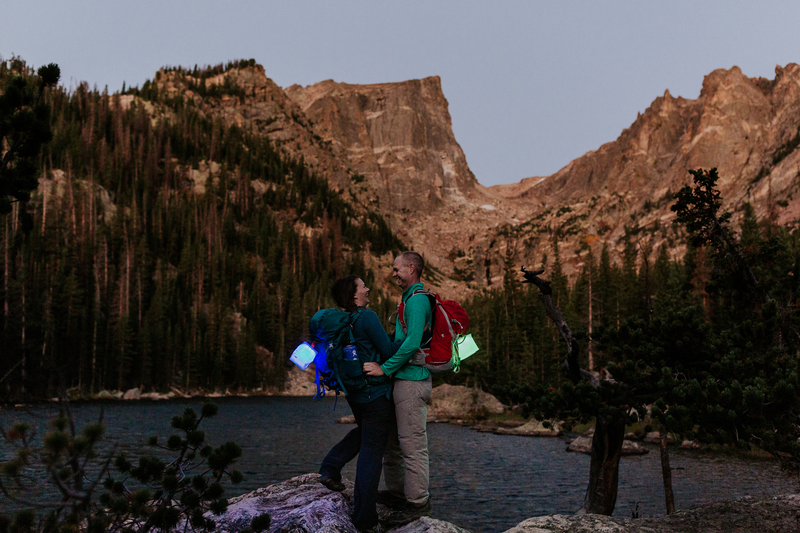 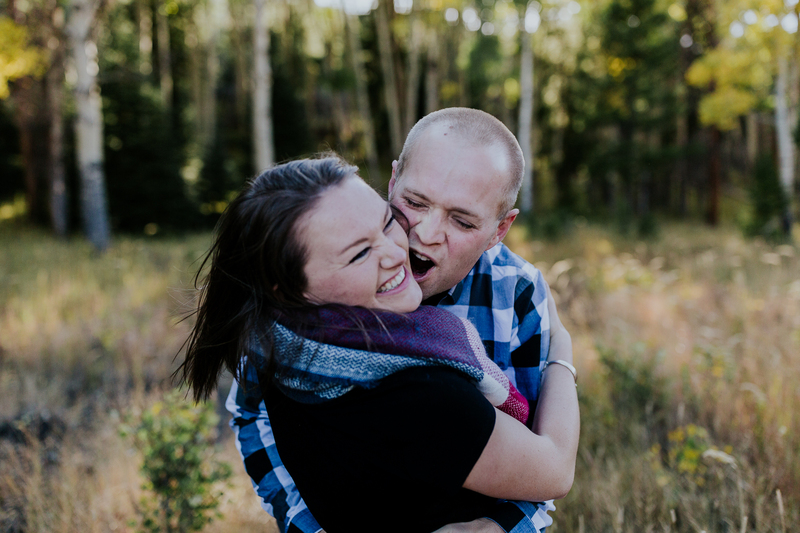 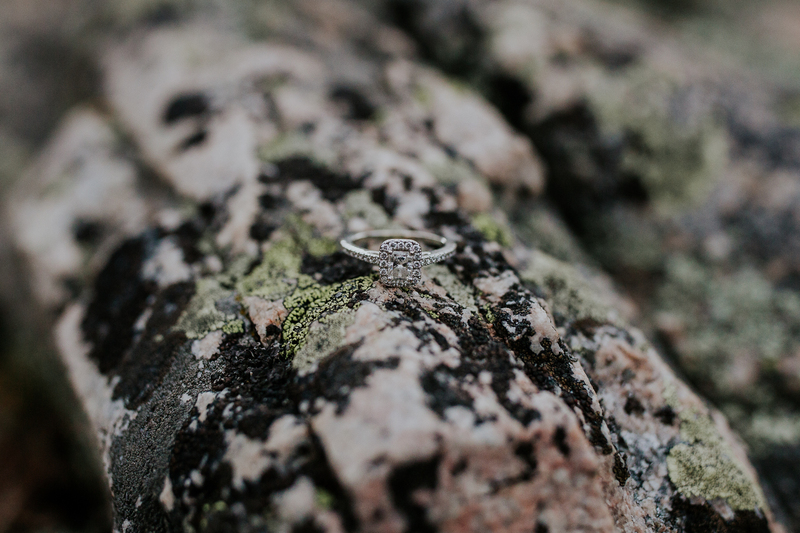 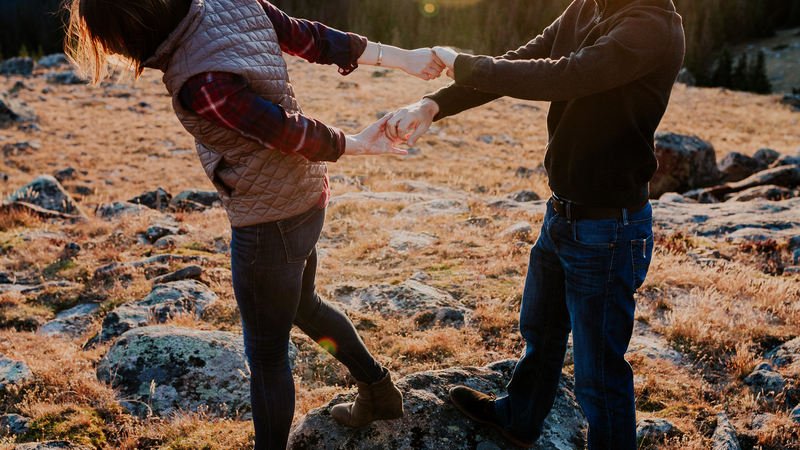 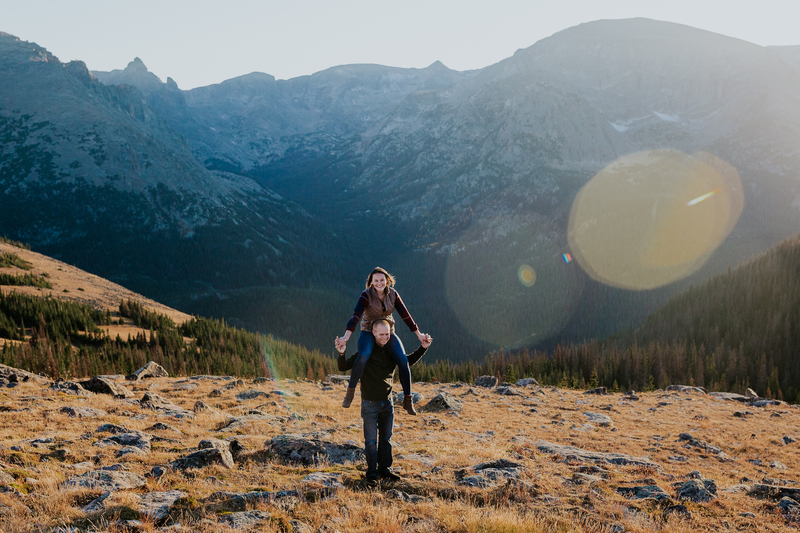 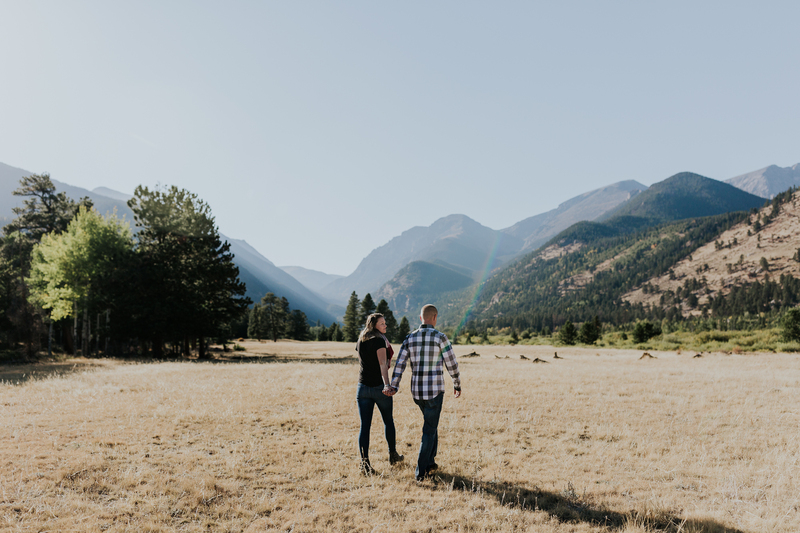 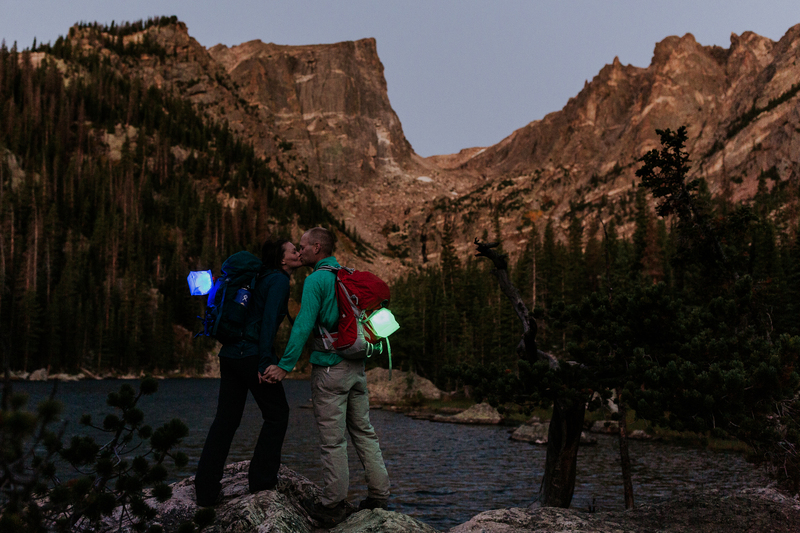 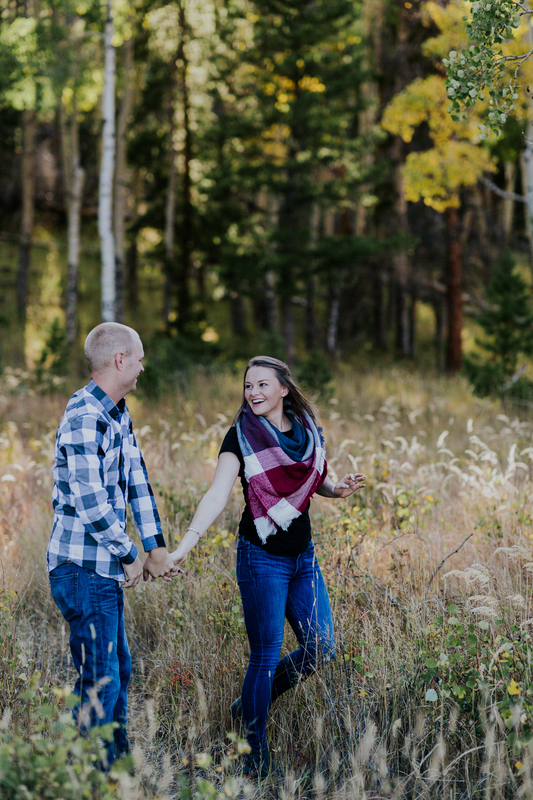 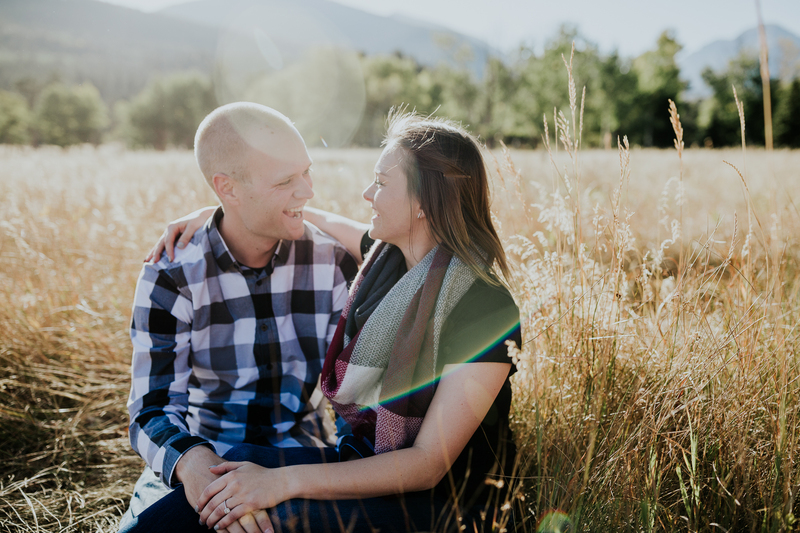 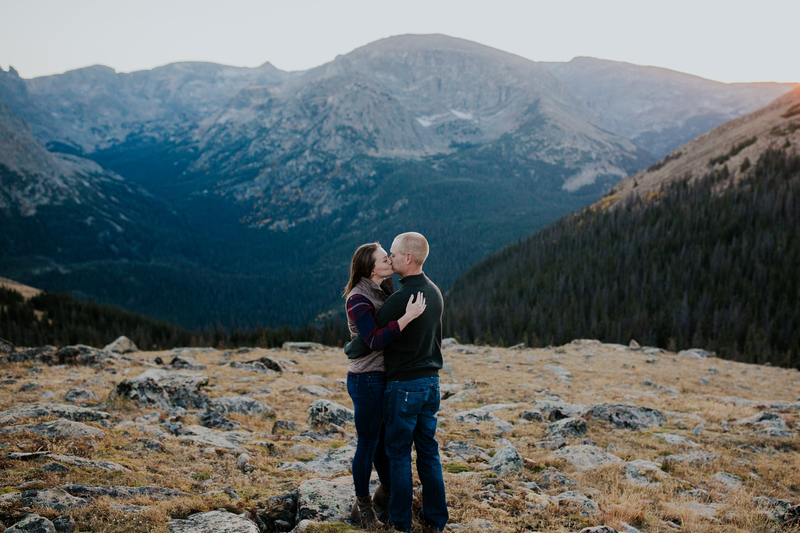 So excited to share this epic Rocky Mountain National Park hiking engagement! 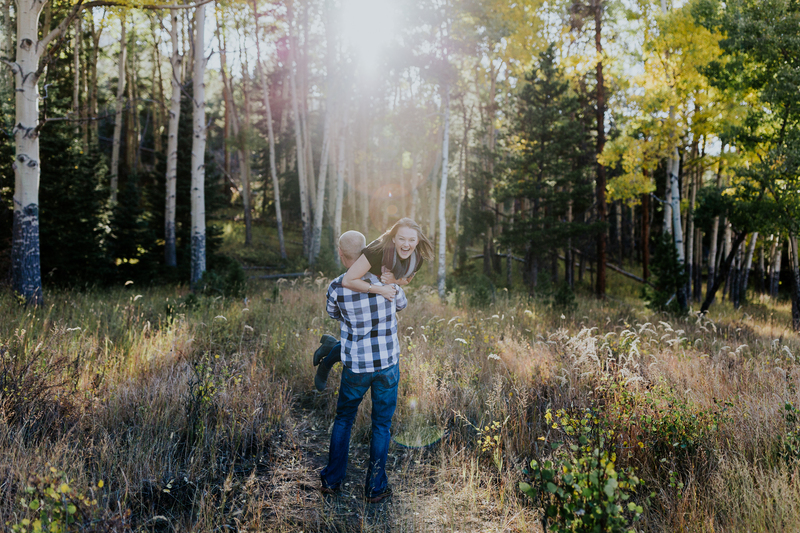 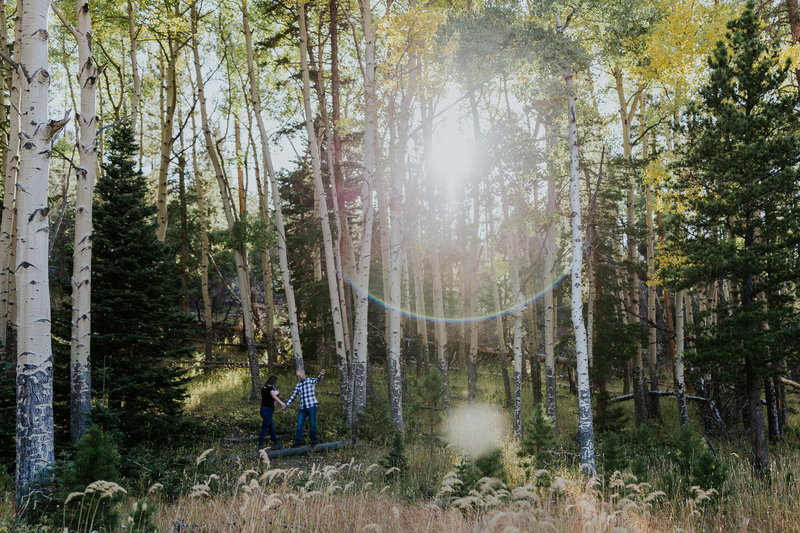 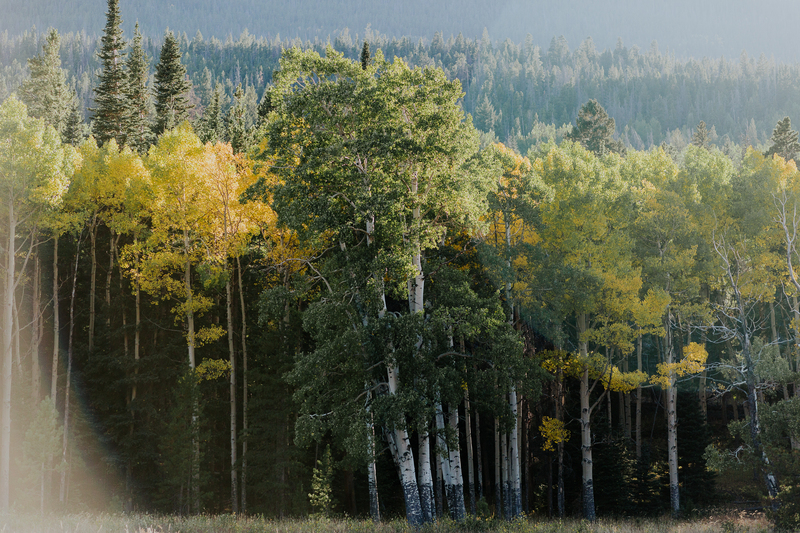 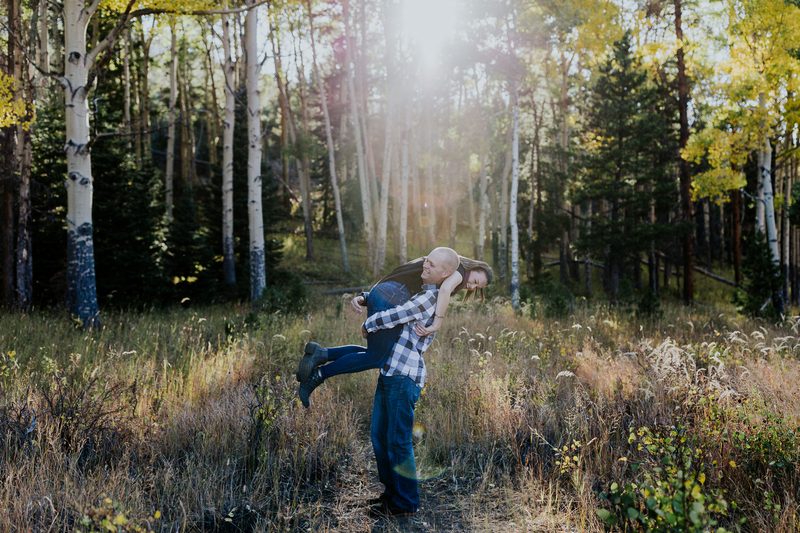 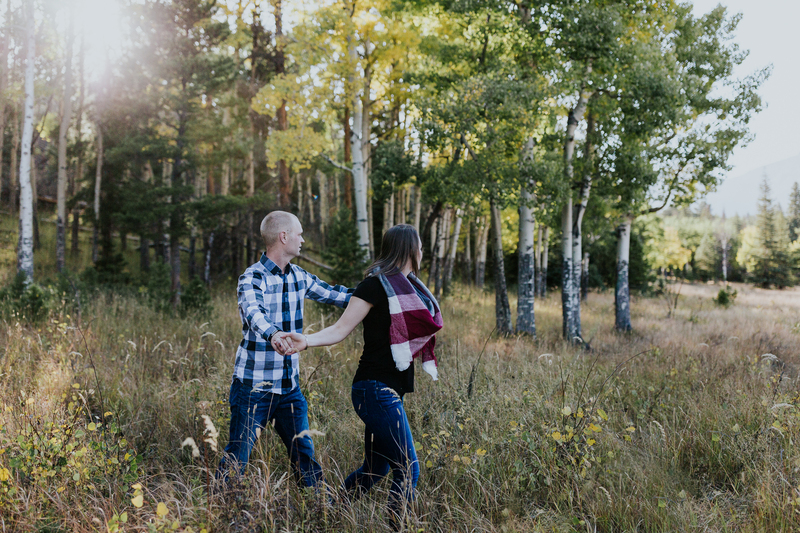 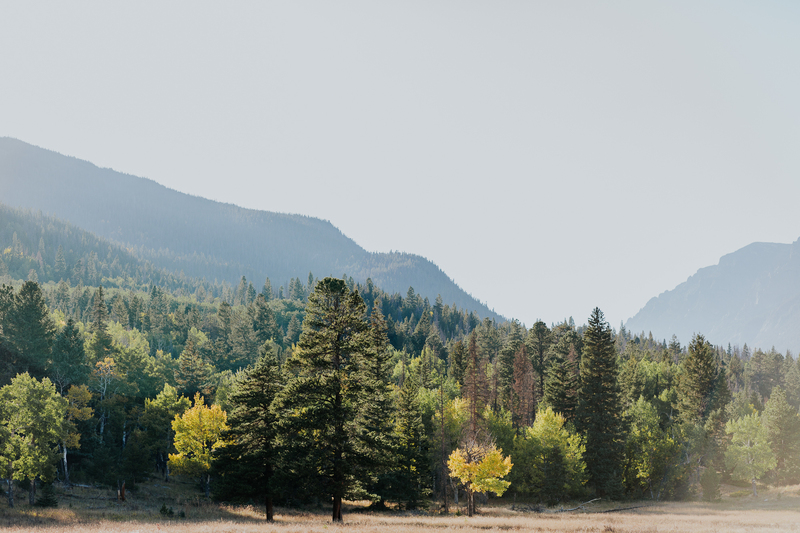 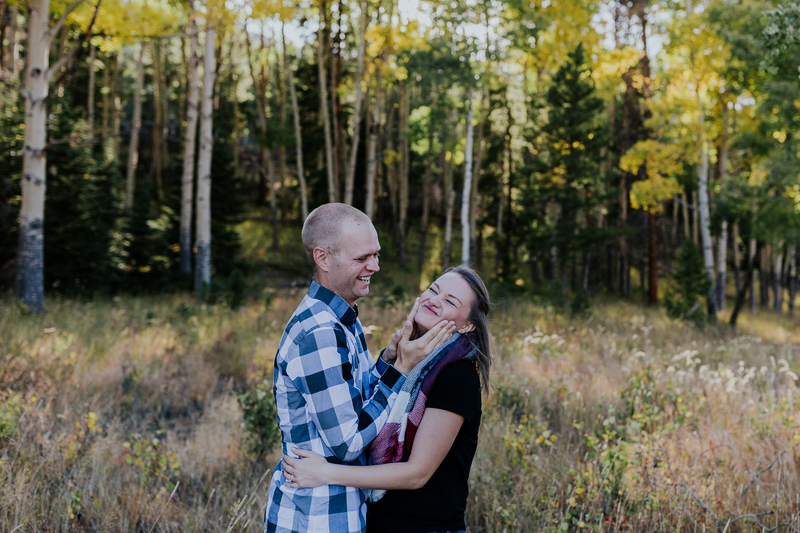 Colorado in the fall is a dream, and having Marcus + Jessie show me around was a blast. 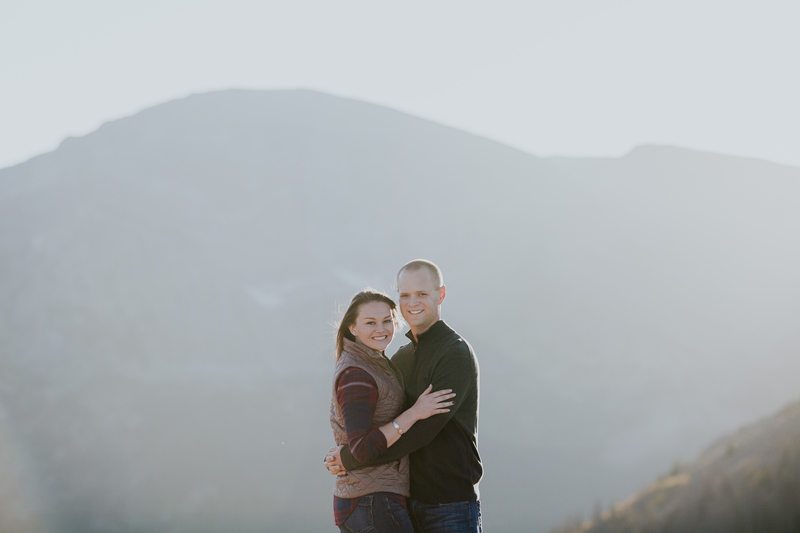 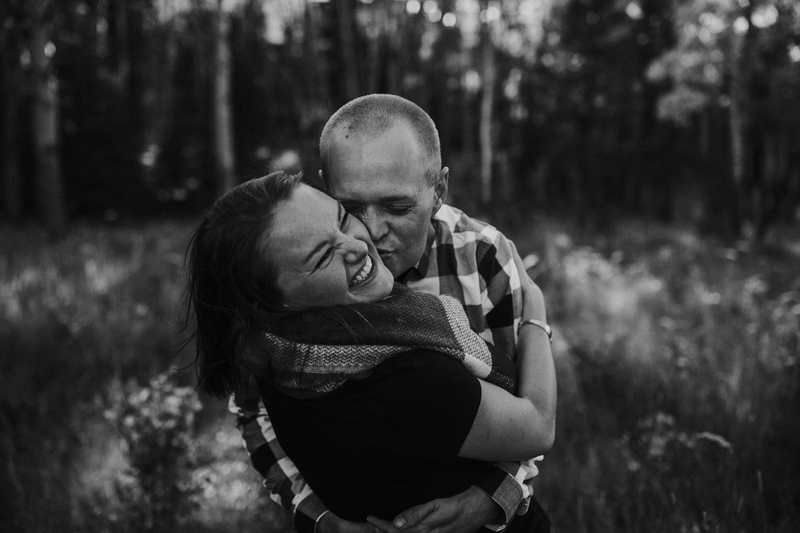 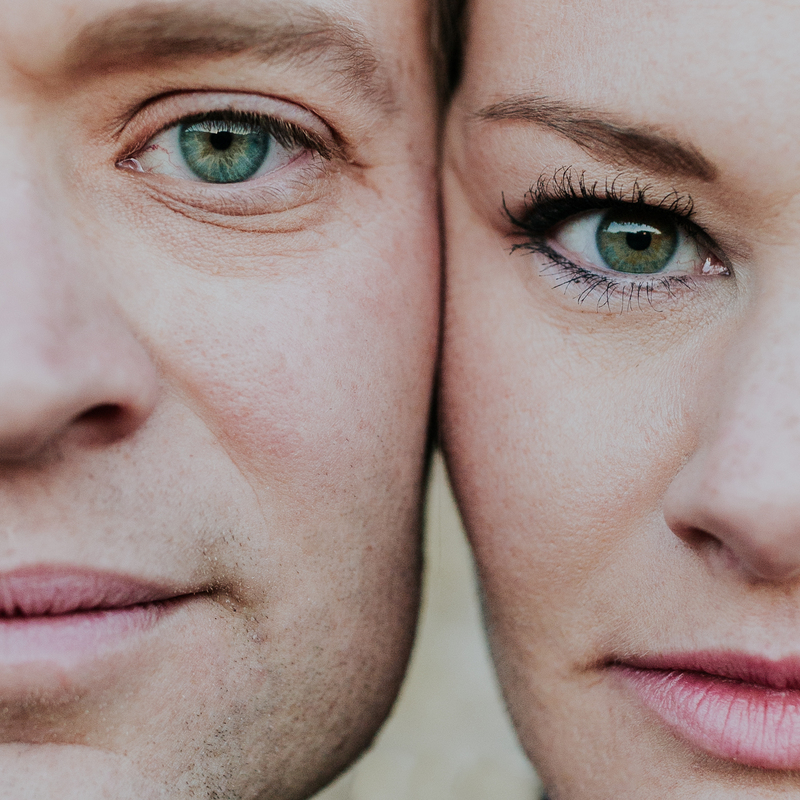 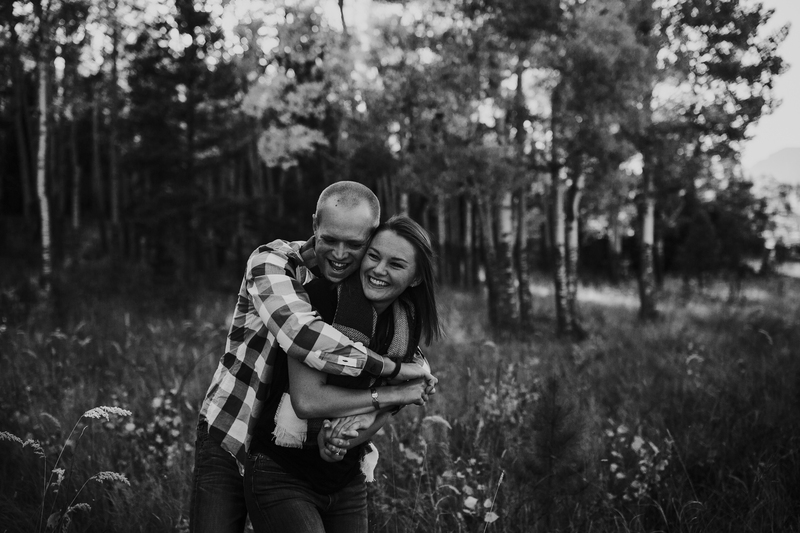 They live in Colorado and will get married in Estes Park next summer! 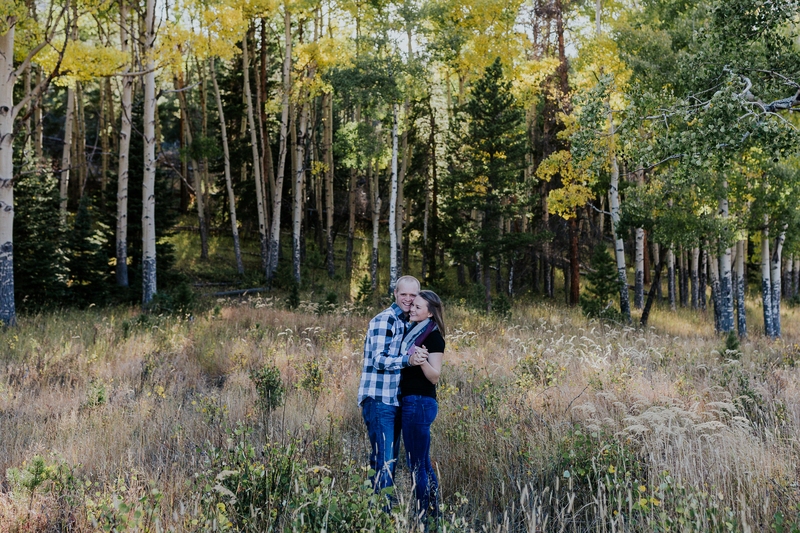 I cannot wait. 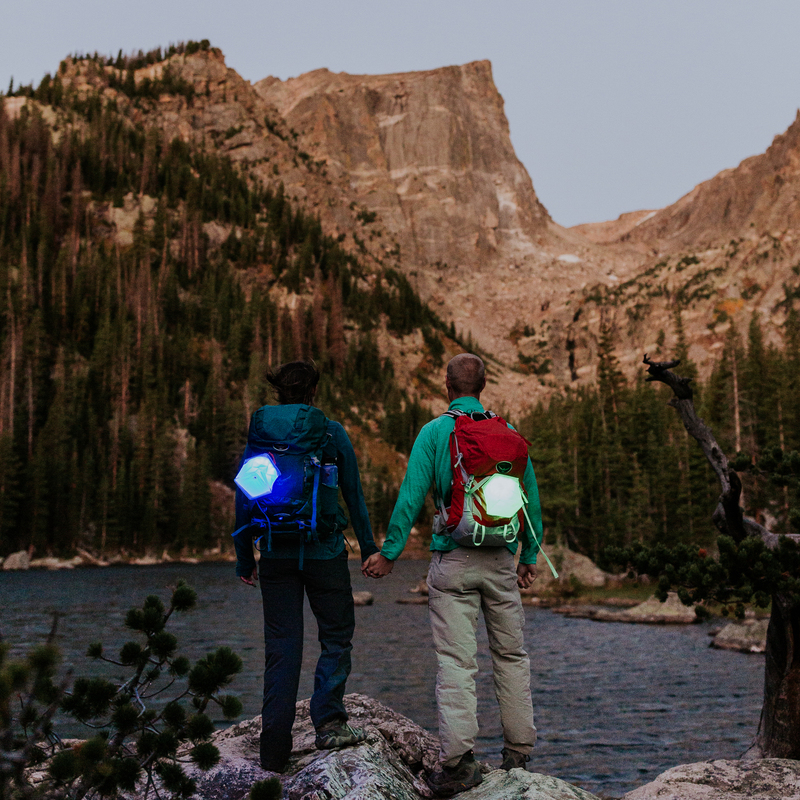 We started the day at 2:30 am as I prepped before sunrise for our hike up to Dream Lake. 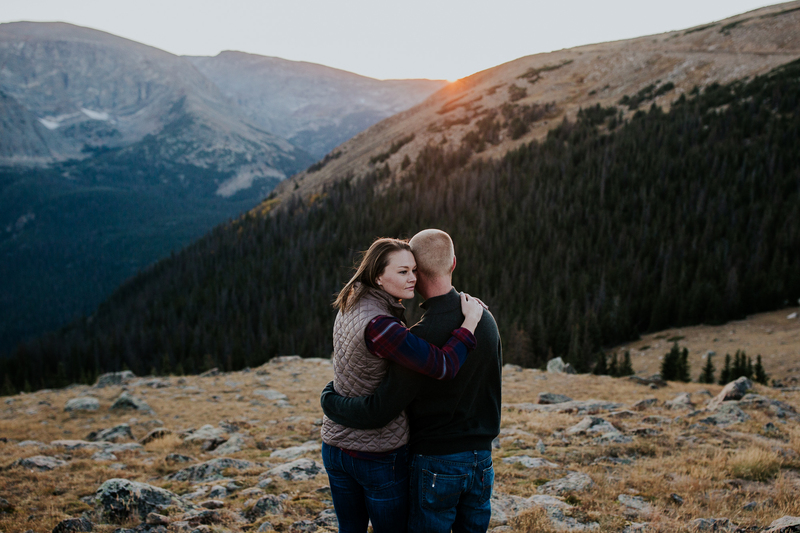 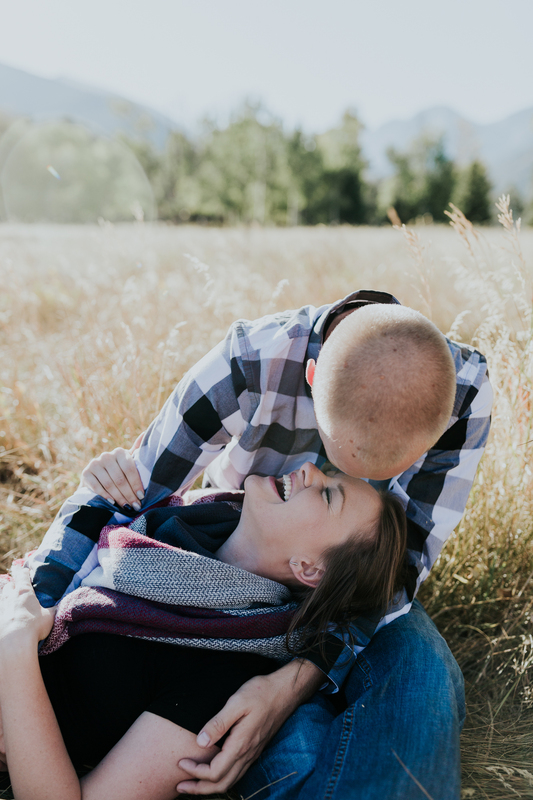 Marcus proposed to Jessie there last year, and they agreed it would be special to get some of their engagement photos done there and around RMNP. 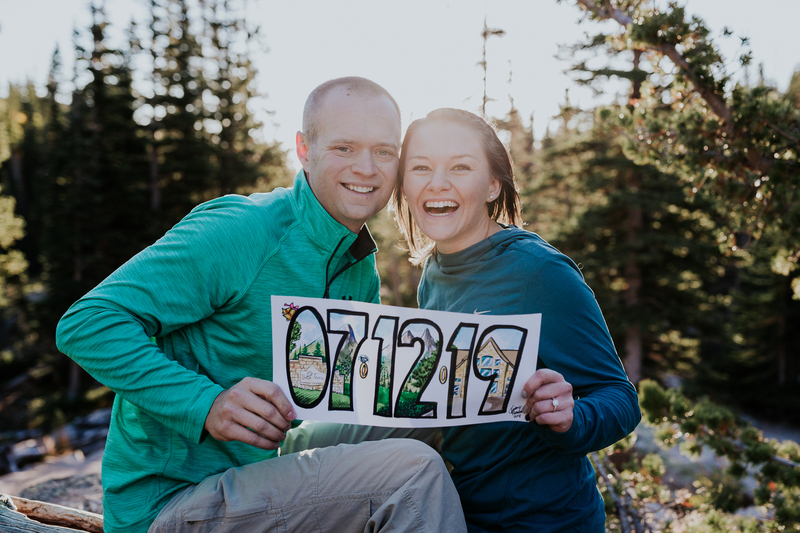 So we made a day of it. 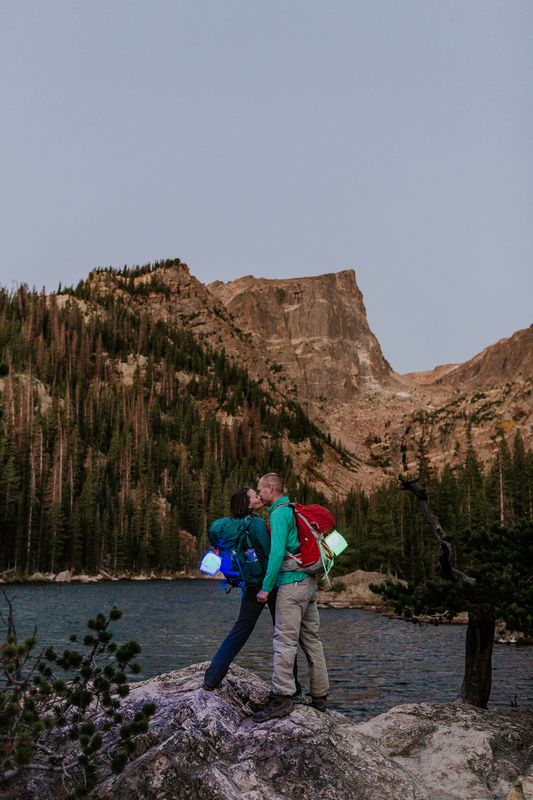 We had a couple donuts in the parking lot then set out on the dark hike up; lit only by a couple headlamps. 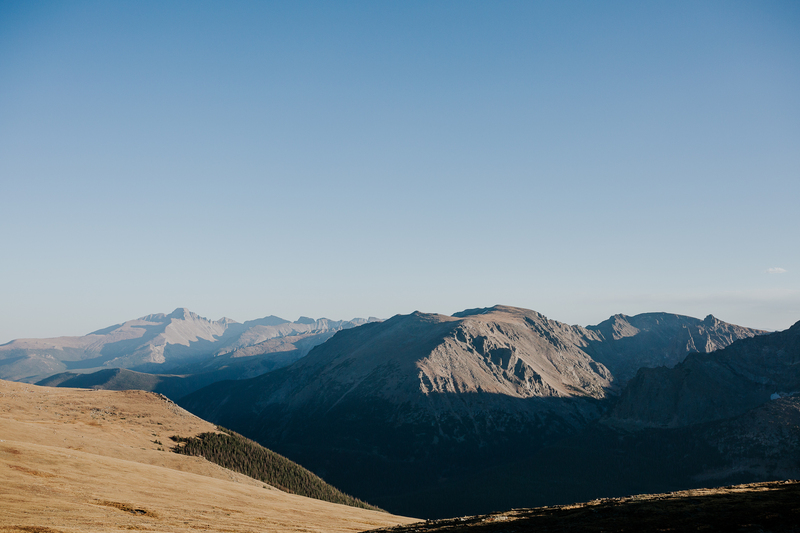 We were the only ones on the trail nearly; a reward for getting up so early on the weekend! 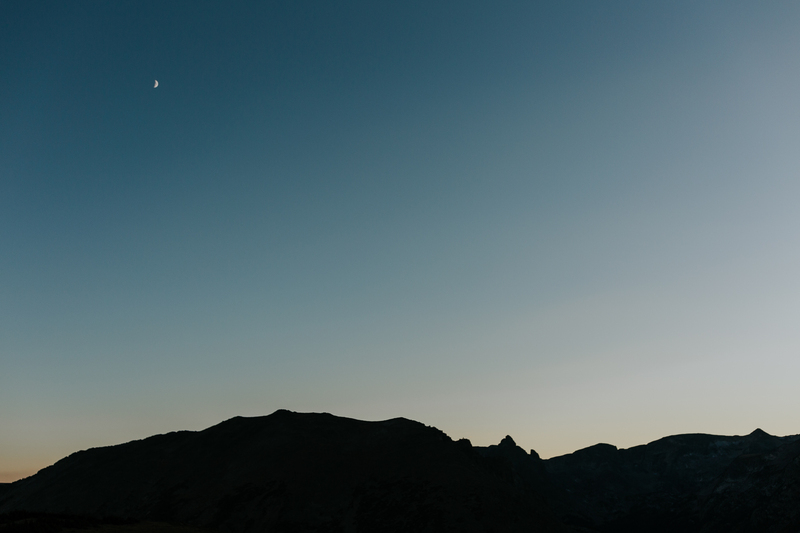 The sky was clear and cold, and the stars were AMAZINGLY bright. 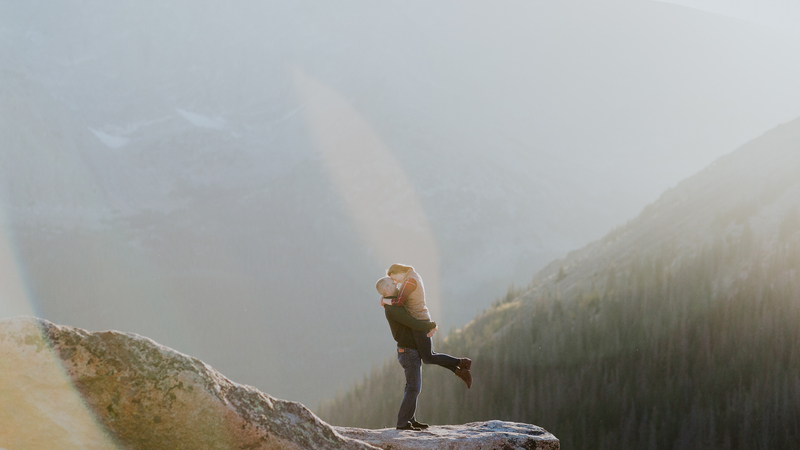 The best I’ve ever seen in my life. 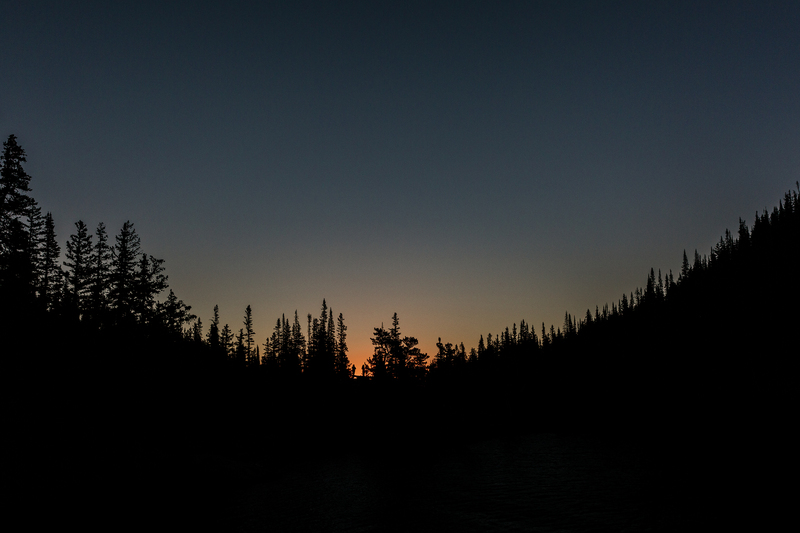 I couldn’t stop cranking my neck back to awe at the pre-dawn sky. 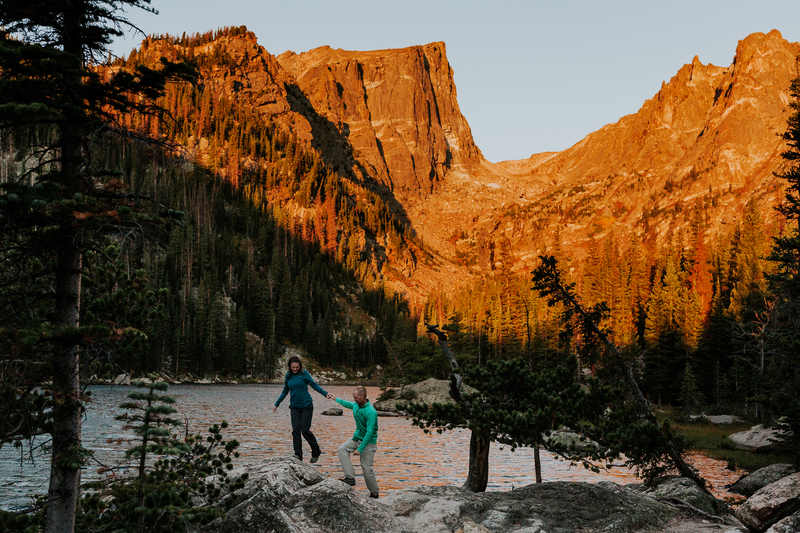 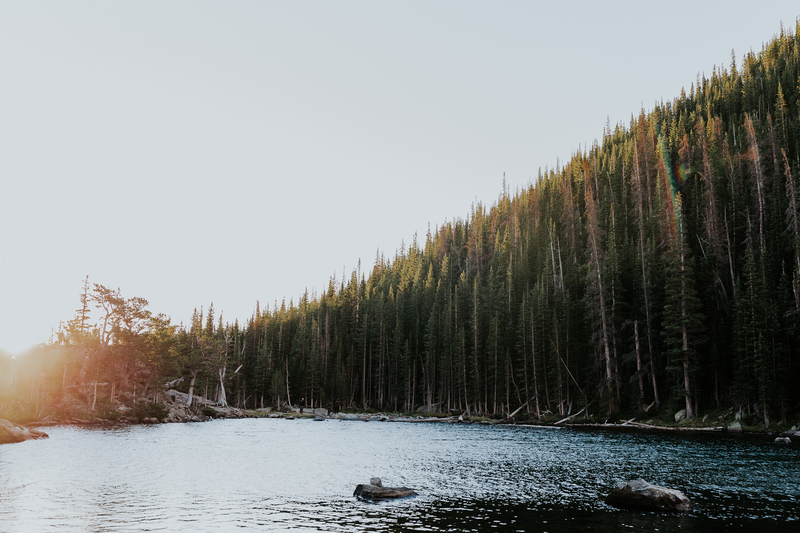 We heard the water lapping at Dream Lake, found a spot to hang, and rested until the sun made its appearance. 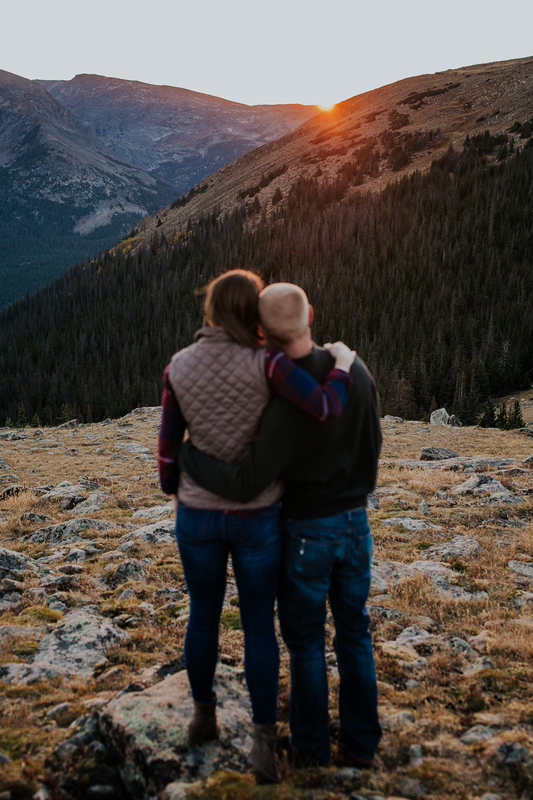 The fiery orange alpenglow on the mountain took our breath away. 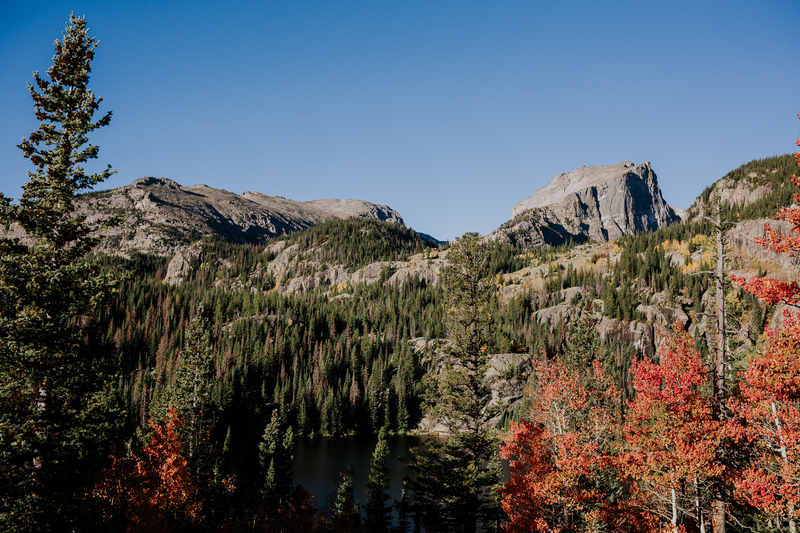 Well, and the 11,000 foot elevation… haha. 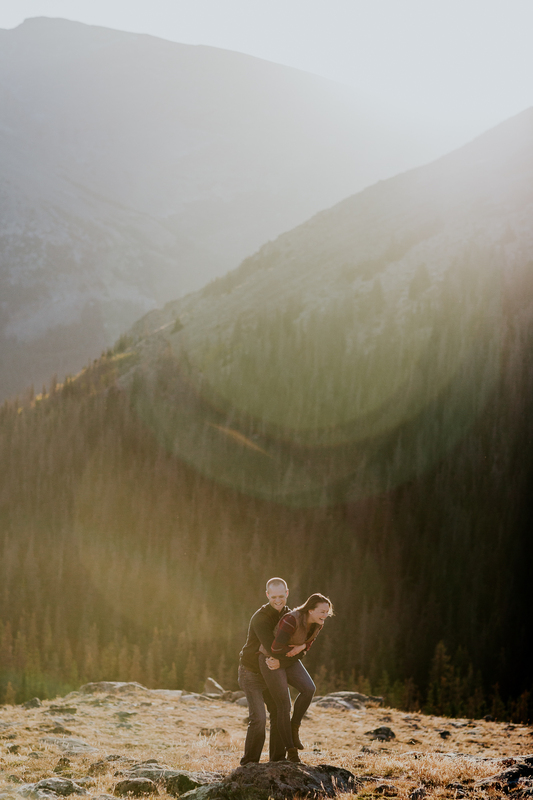 After some photos, we hiked down as many passed us on their way up. 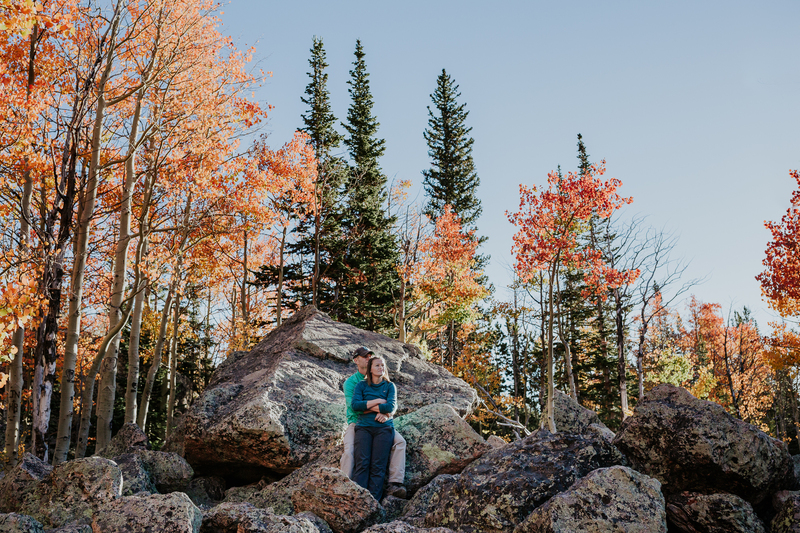 It was peak foliage season, so the park was crowded during the day. 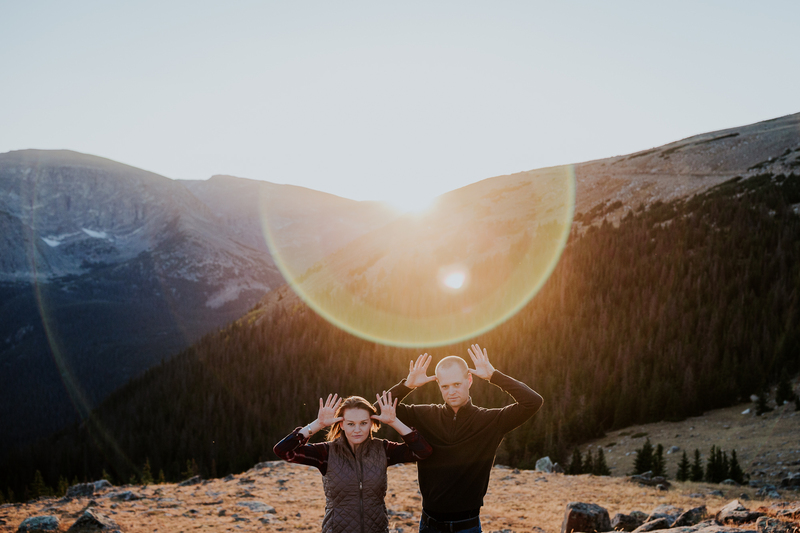 We then took a midday break and reconvened late afternoon for some elk sightings around Estes. 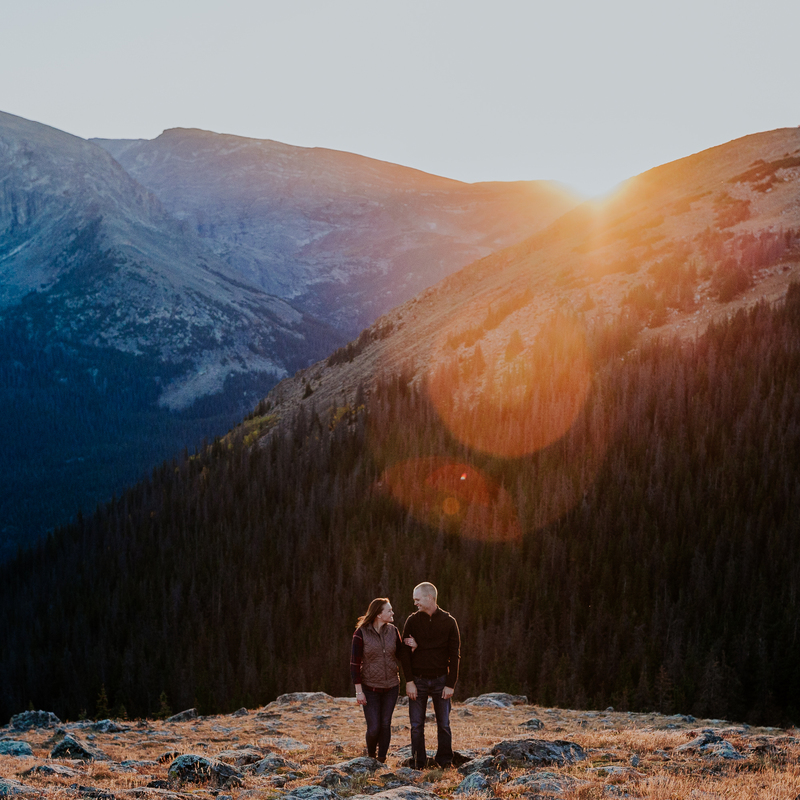 Then we ended our day with a scenic drive on the famous Trail Ridge Road (the third highest paved road in the United States) inside Rocky Mountain National Park. 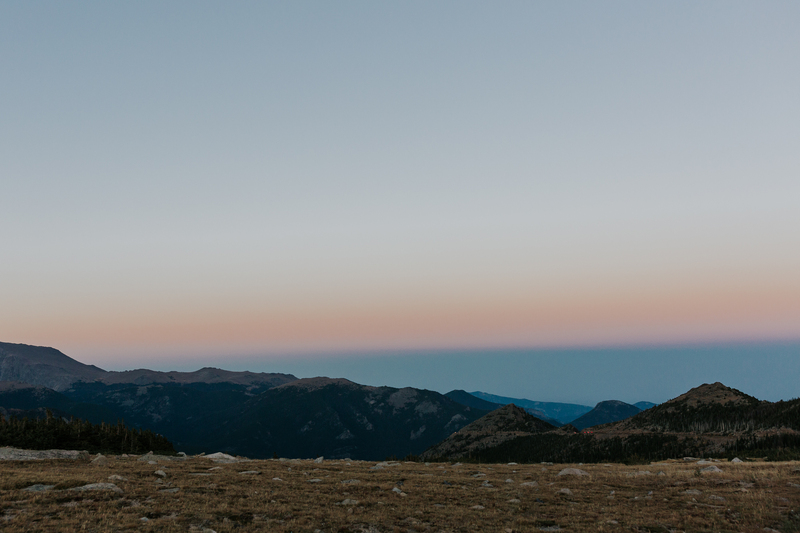 The sunset that evening was epic! 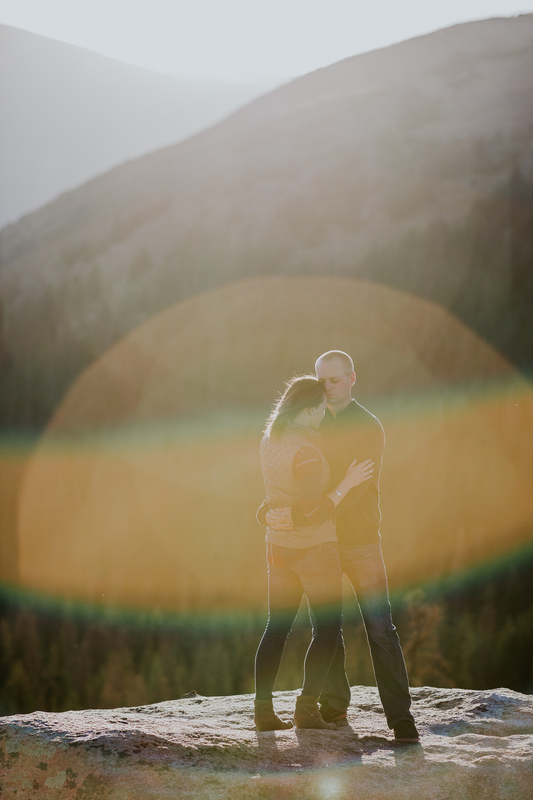 The light was changing so fast, with so many fun sun flares and colors. 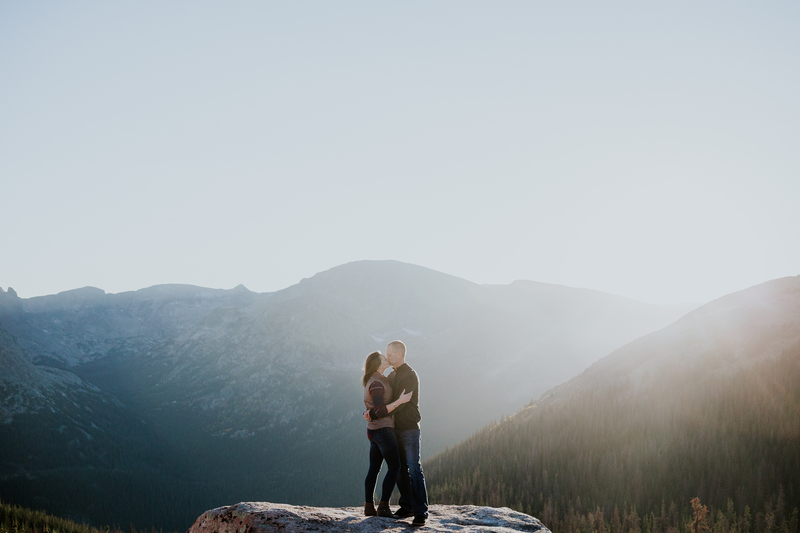 This day was so unique because I was able to shoot a clear sunrise AND sunset. 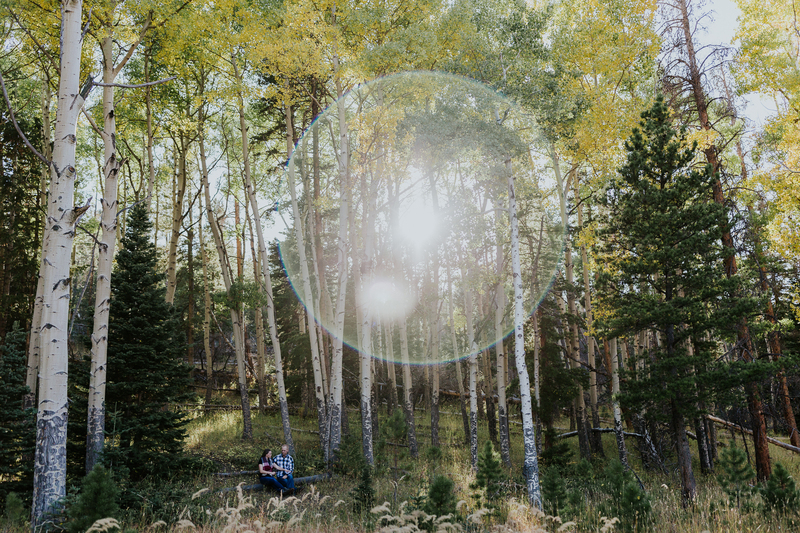 That doesn’t happen often, but when it does, it’s magical. 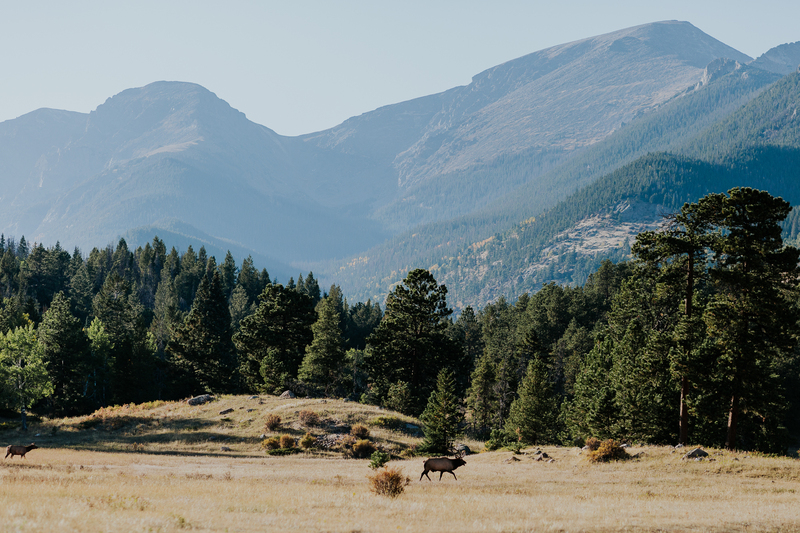 Also: National parks! 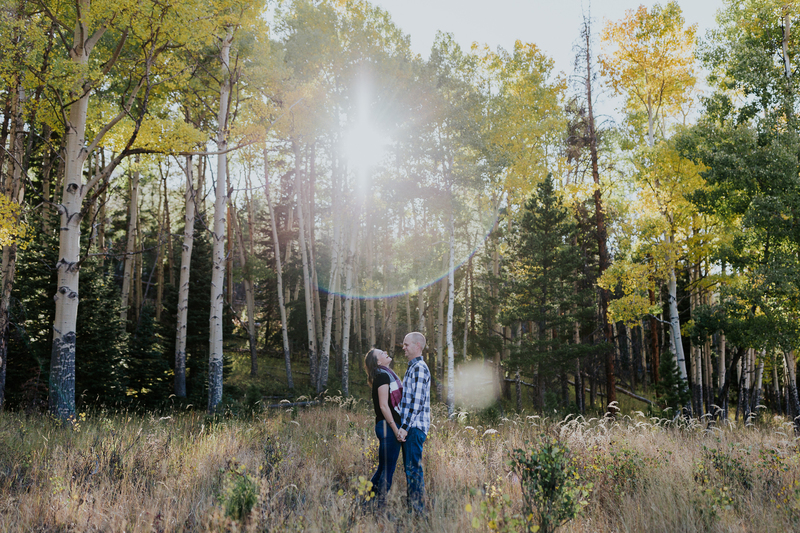 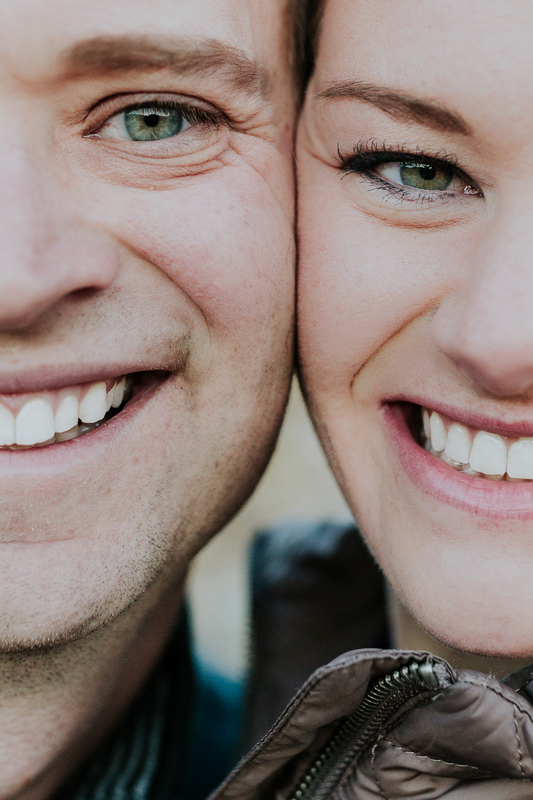 Every single one is gorgeous and a perfect place for engagement or elopement photos. 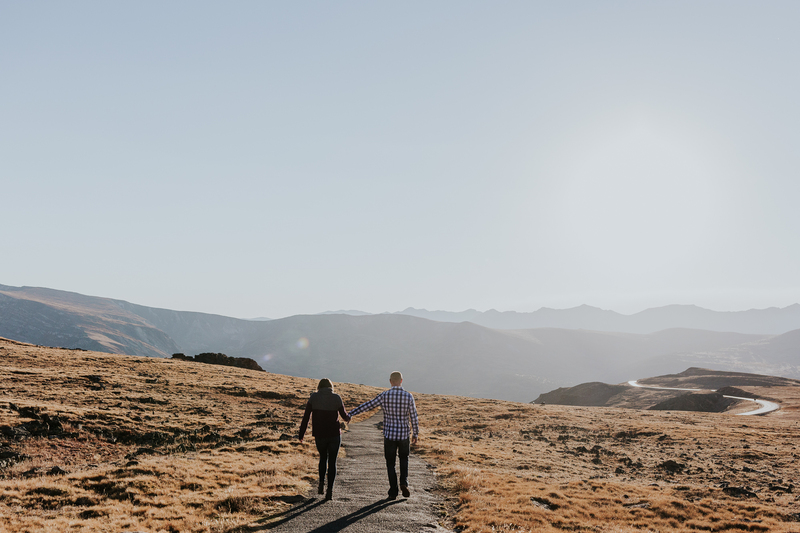 Planning yours in or near one? 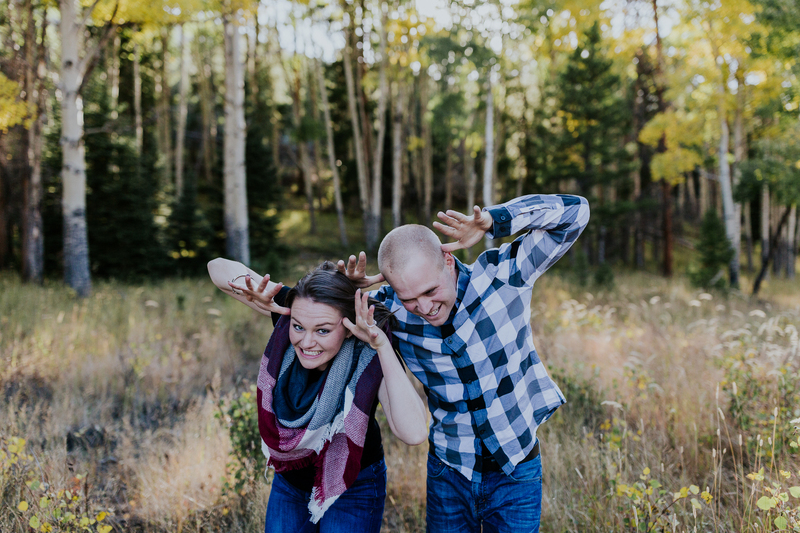 Let’s chat about it!